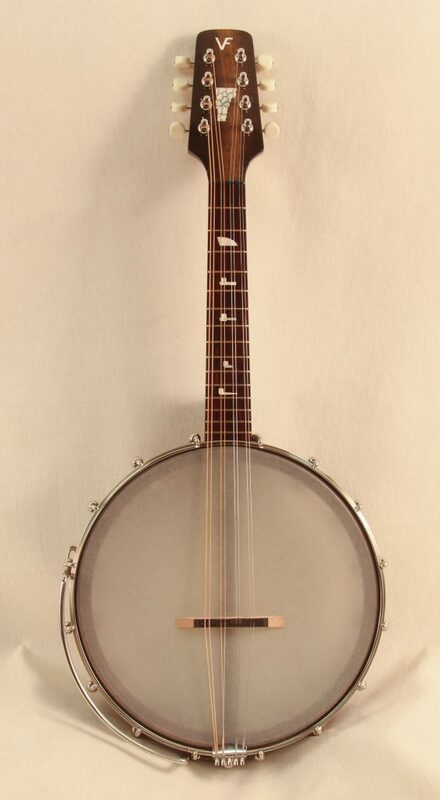 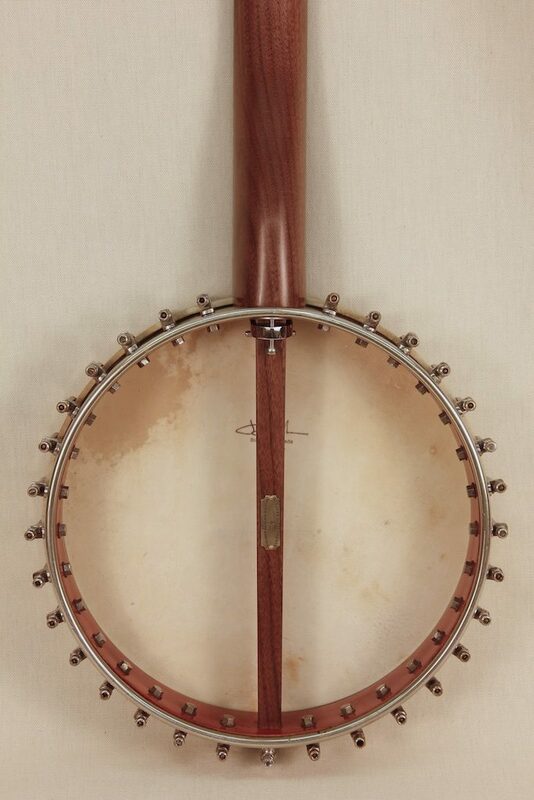 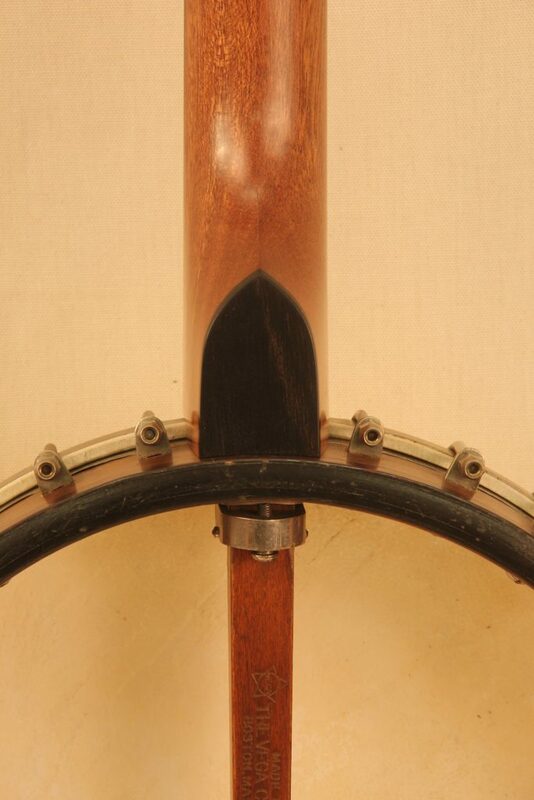 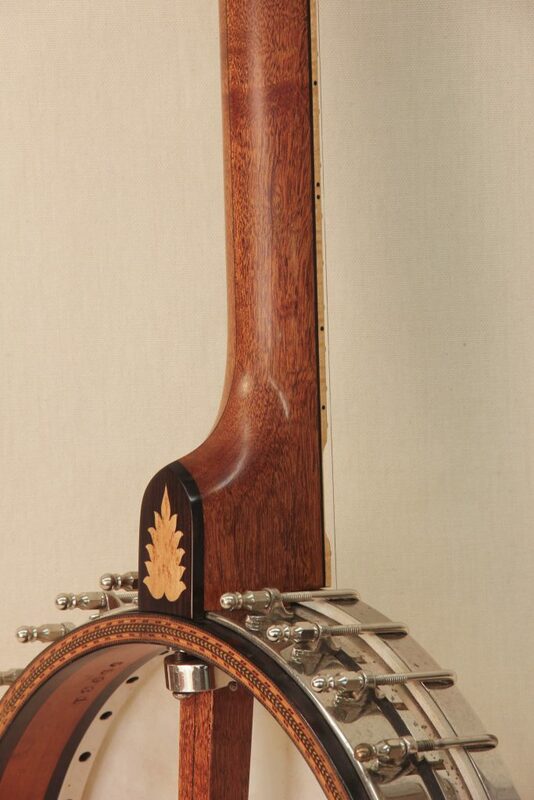 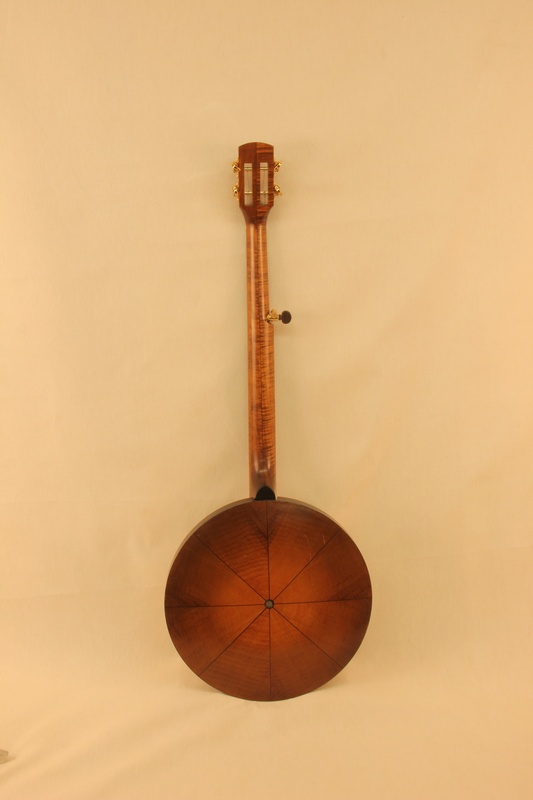 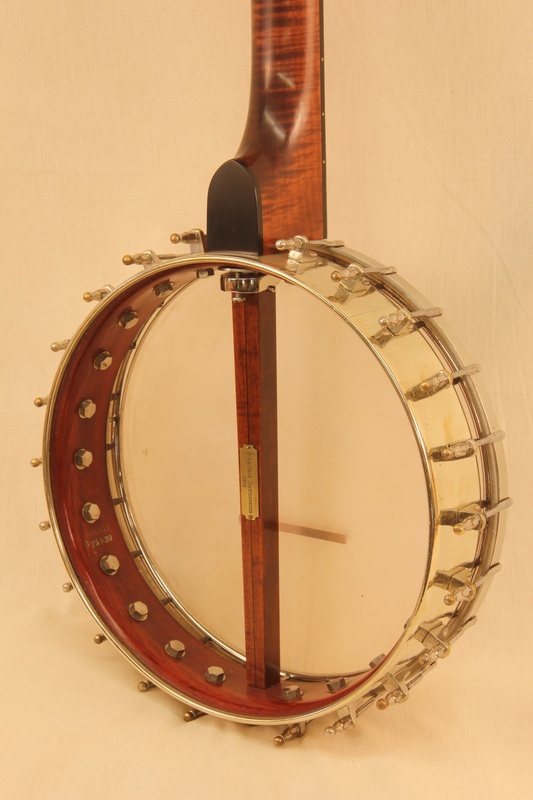 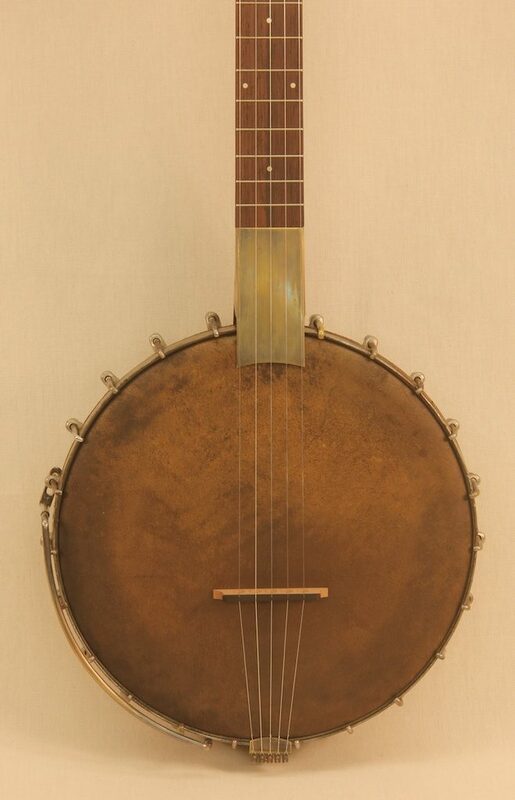 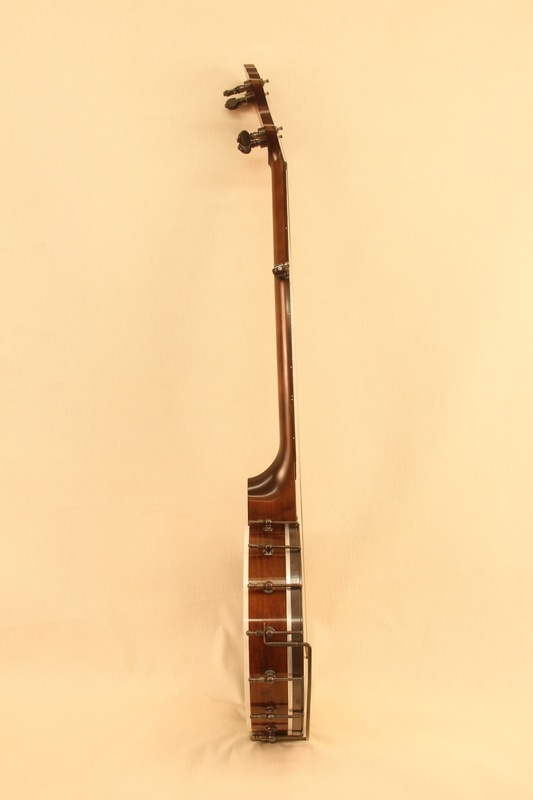 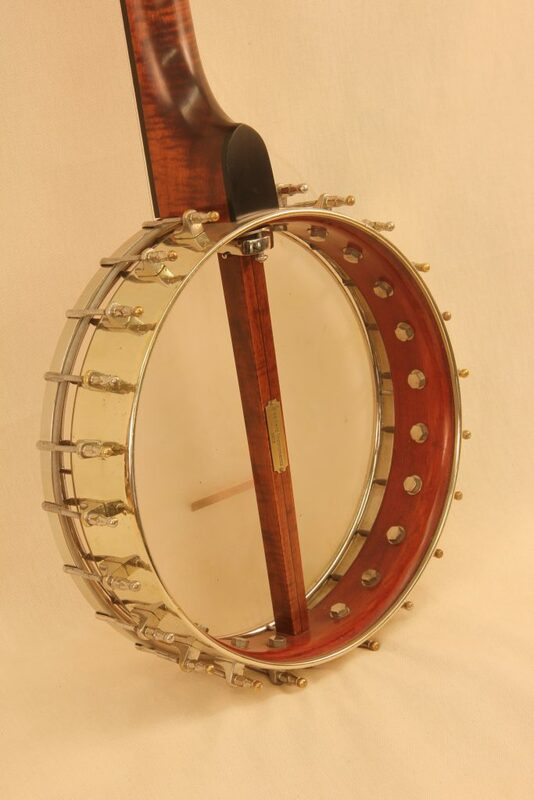 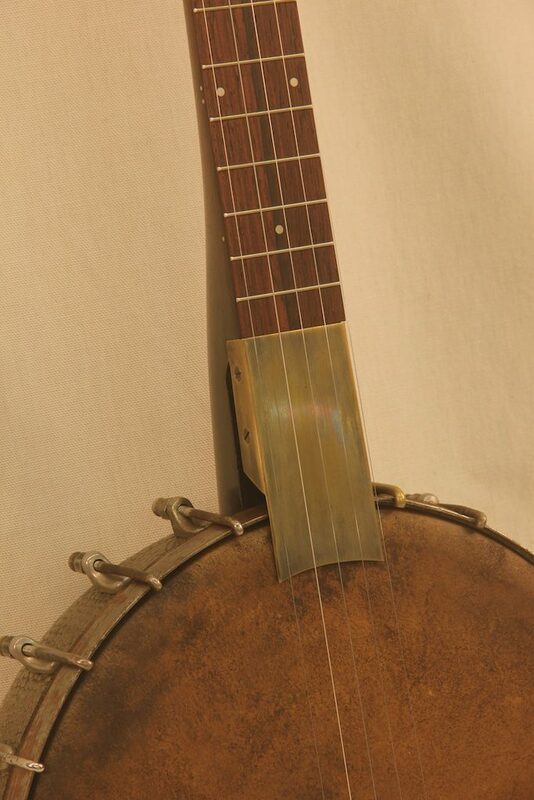 This Tubaphone started it’s life as a 1924 Vega Style X Tubaphone Tenor Banjo. 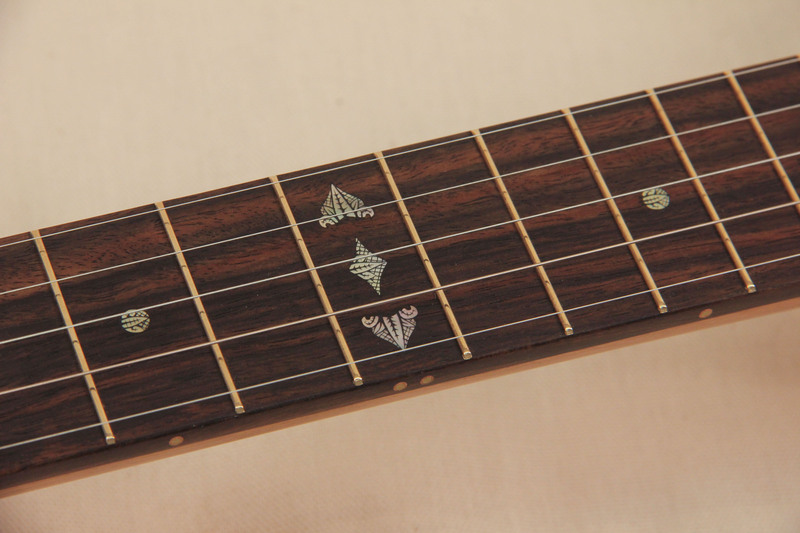 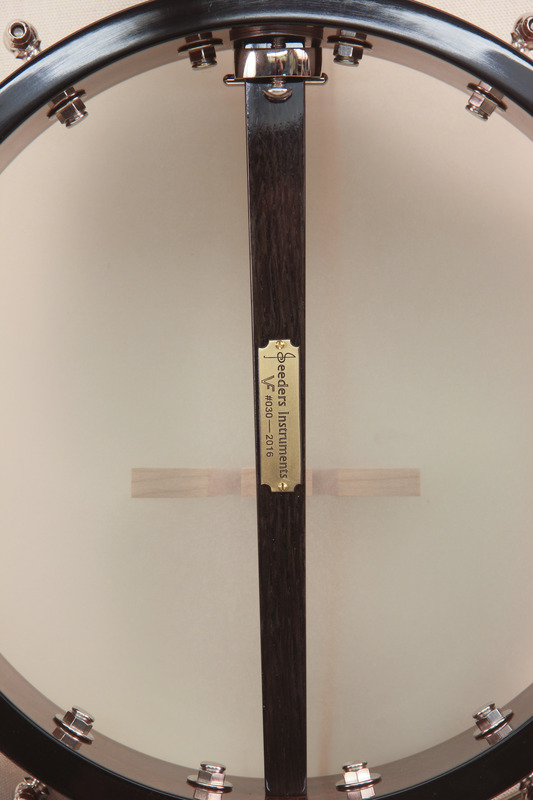 Originally planning to copy the original mother of pearl engraved inlays we instead decided to go a different direction and use a contrasting wood that had some interesting figure. 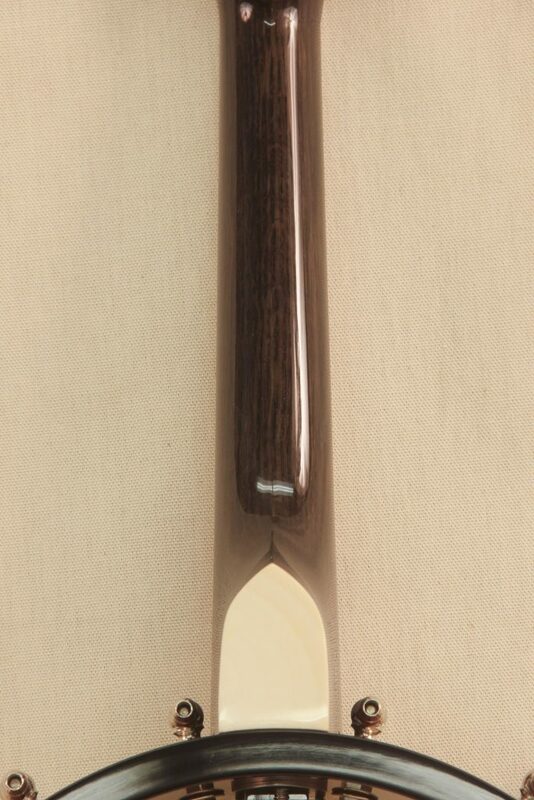 I happened to have quite a unique piece of Birdseye Maple that was perfect even for the small pieces needed for the inlays. 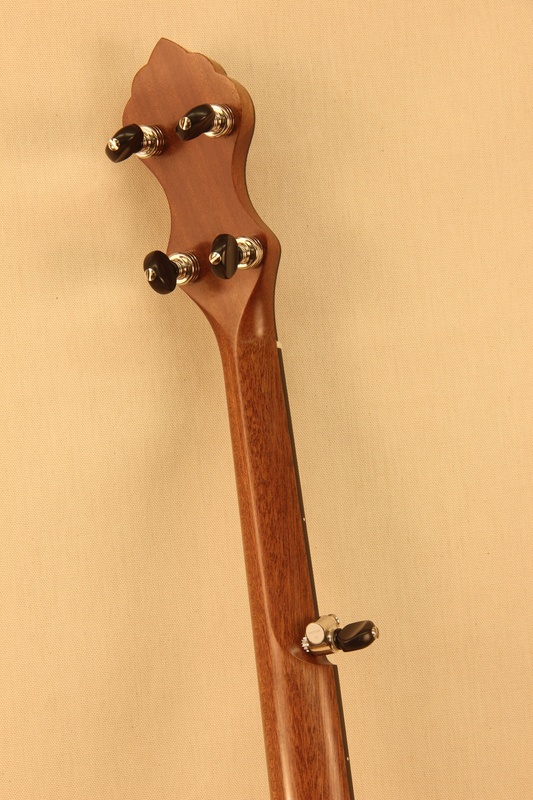 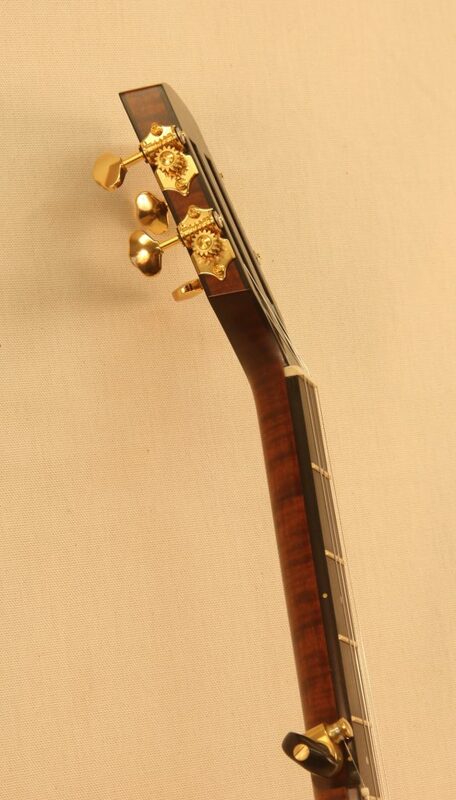 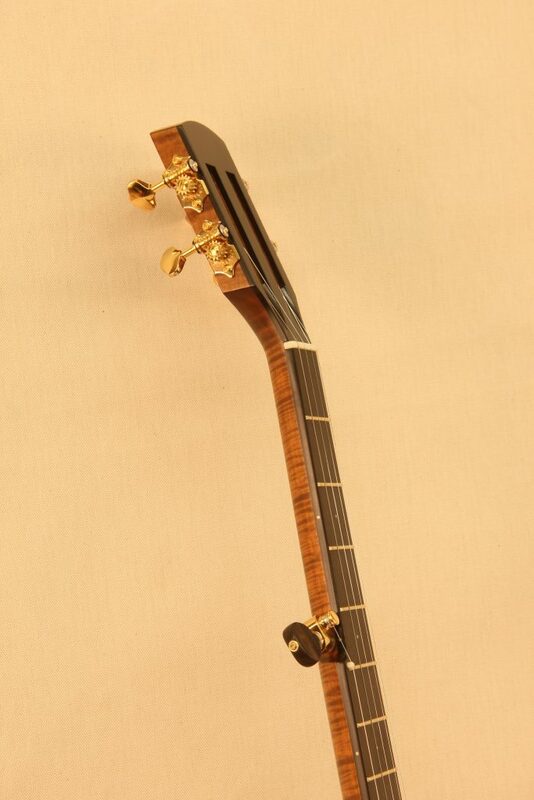 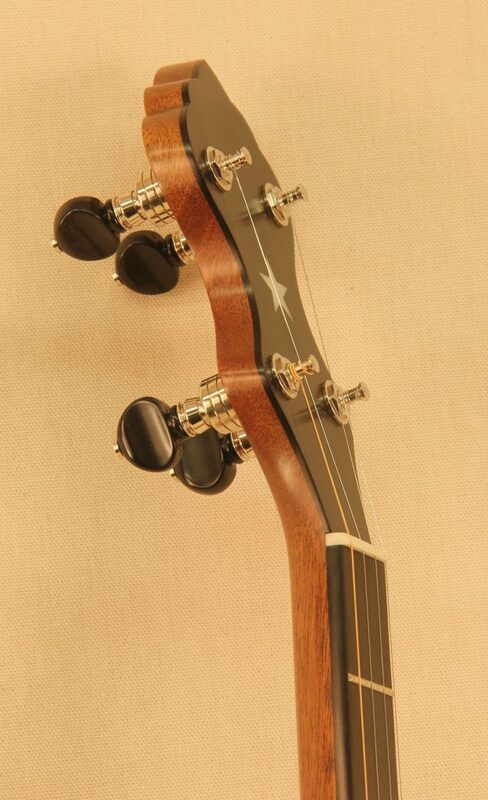 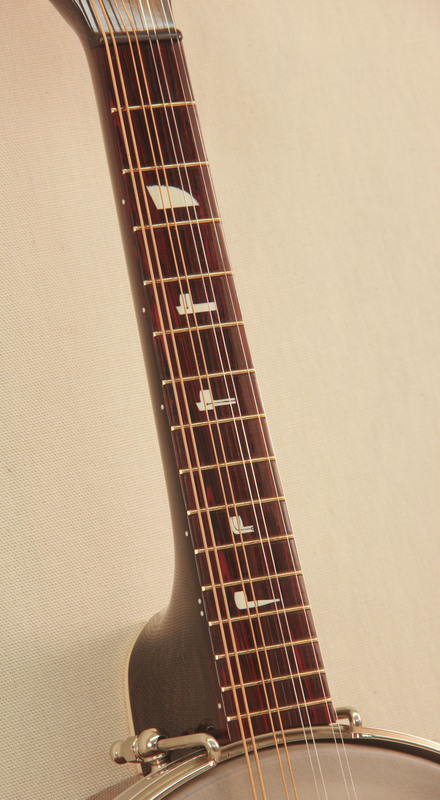 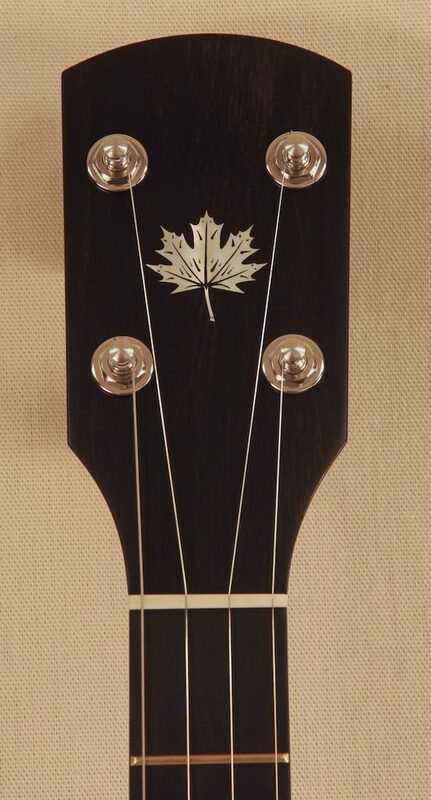 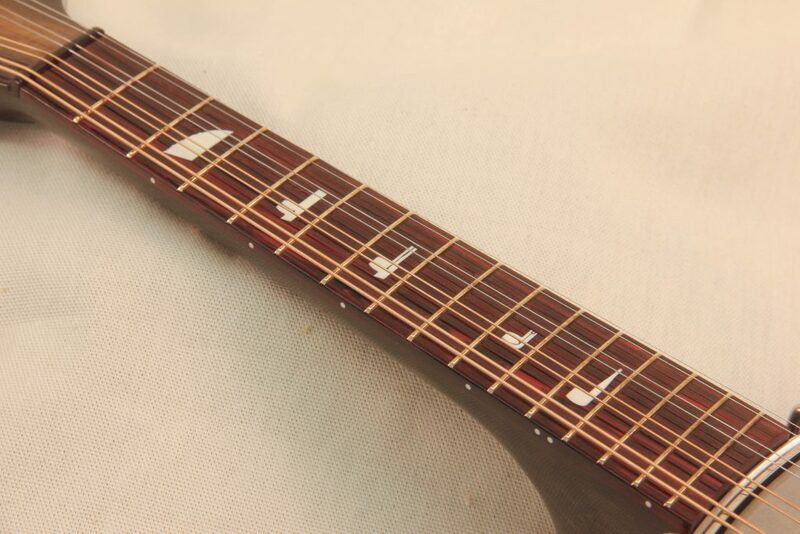 It features a lightly figured Mahogany neck with an African Blackwood fingerboard, heelcap, peghead overlay and volute overlay with a Curly Maple fretboard binding and Birdseye Maple inlays. 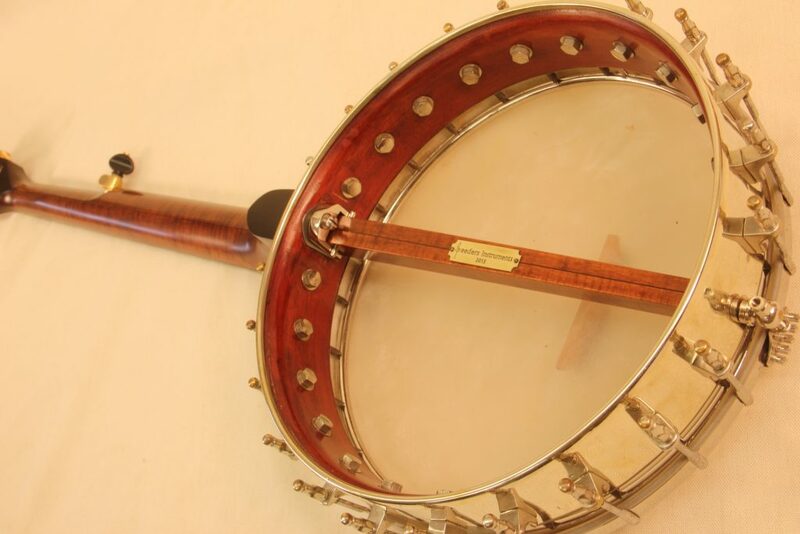 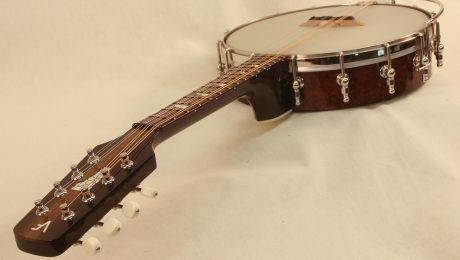 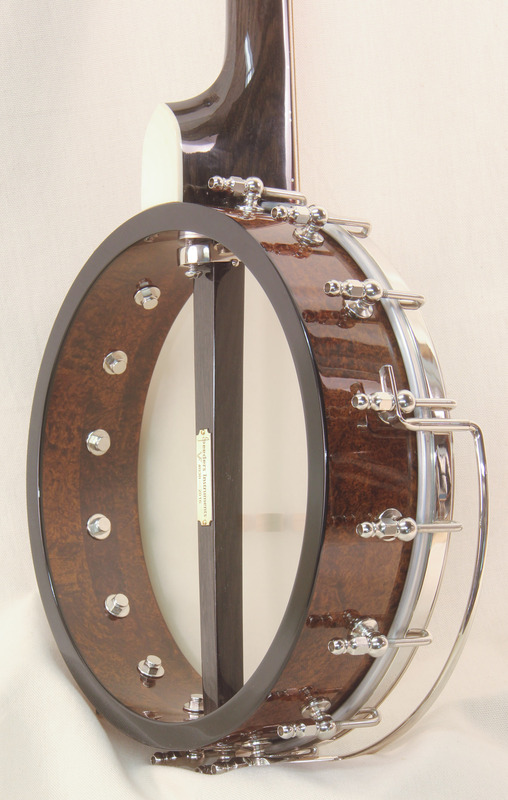 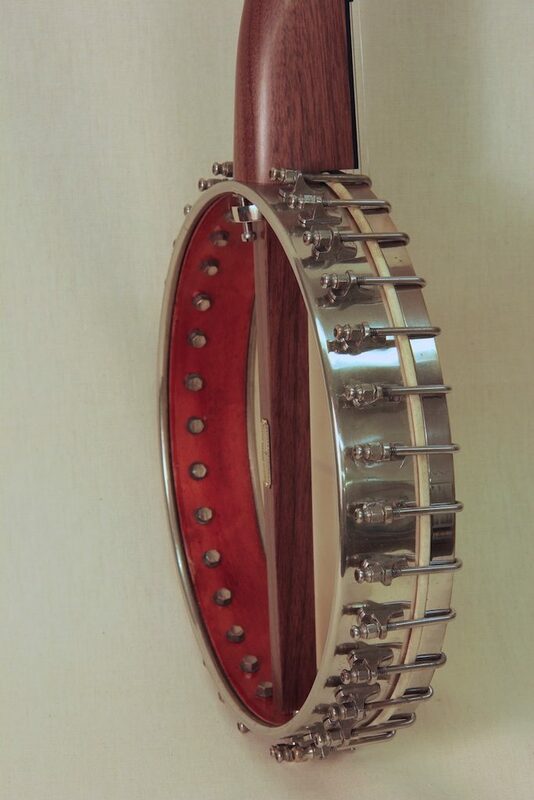 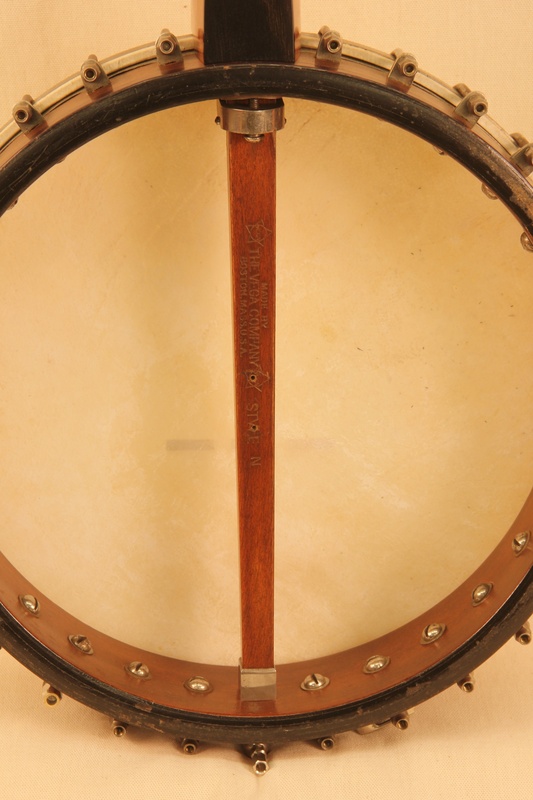 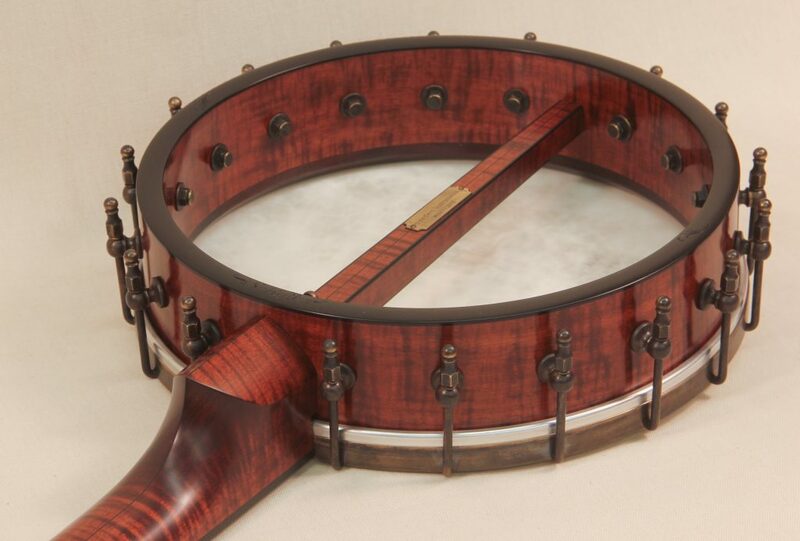 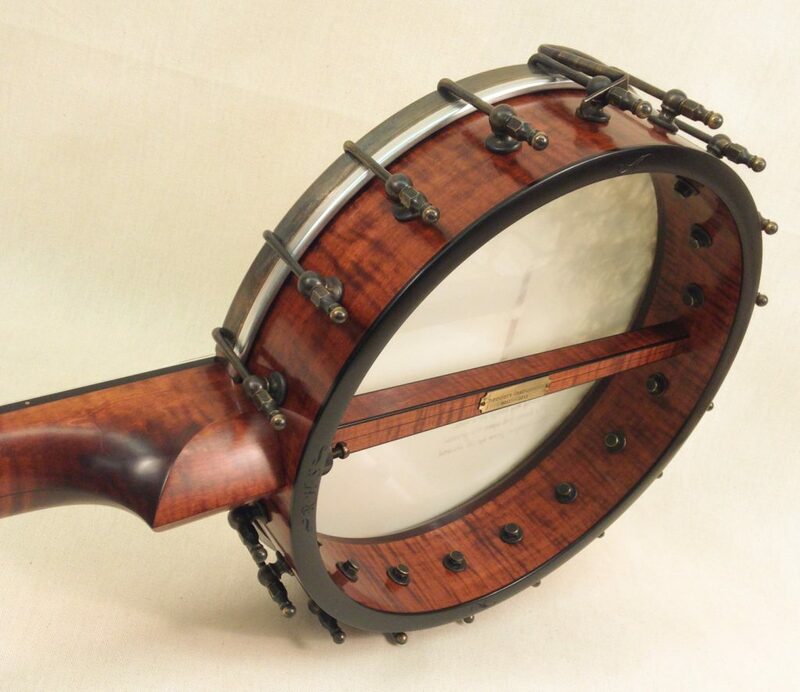 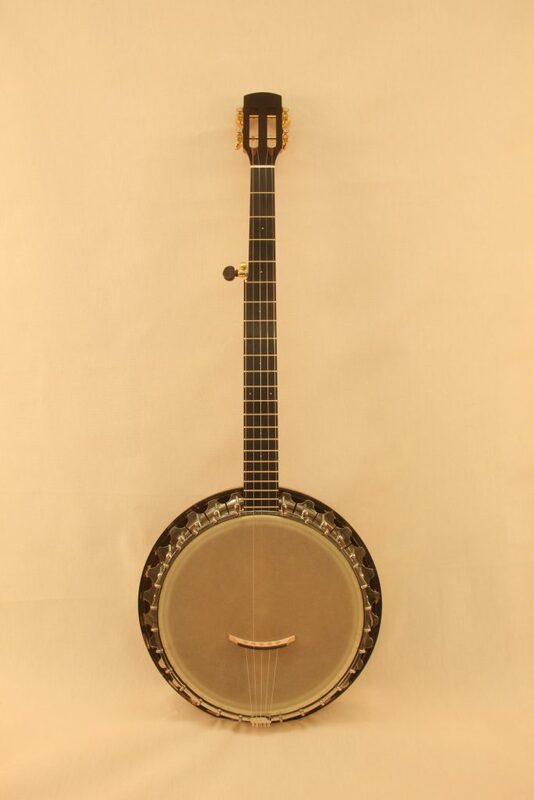 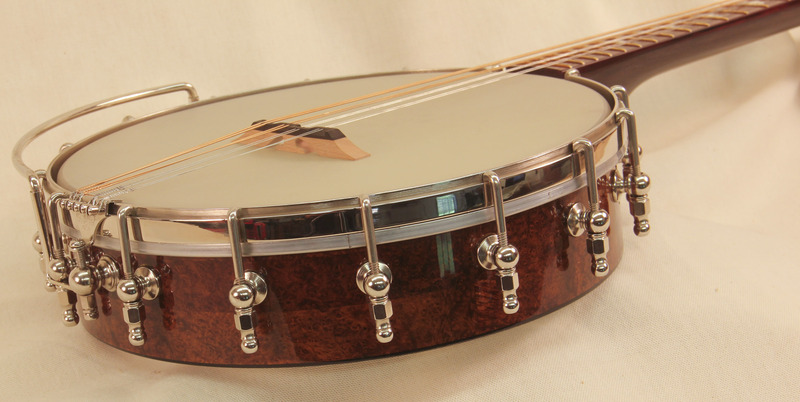 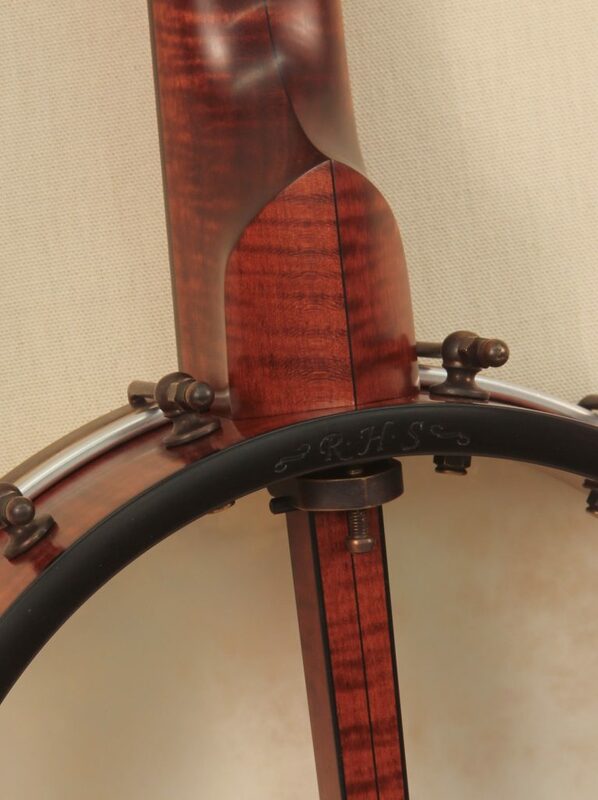 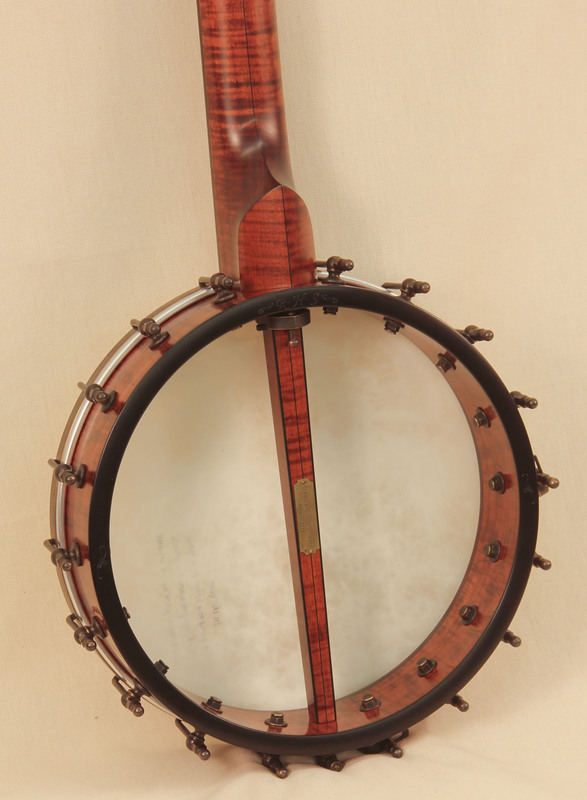 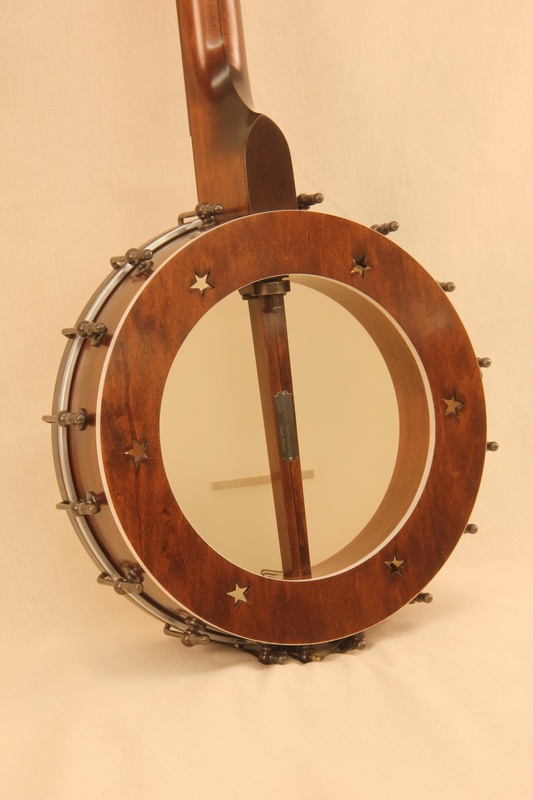 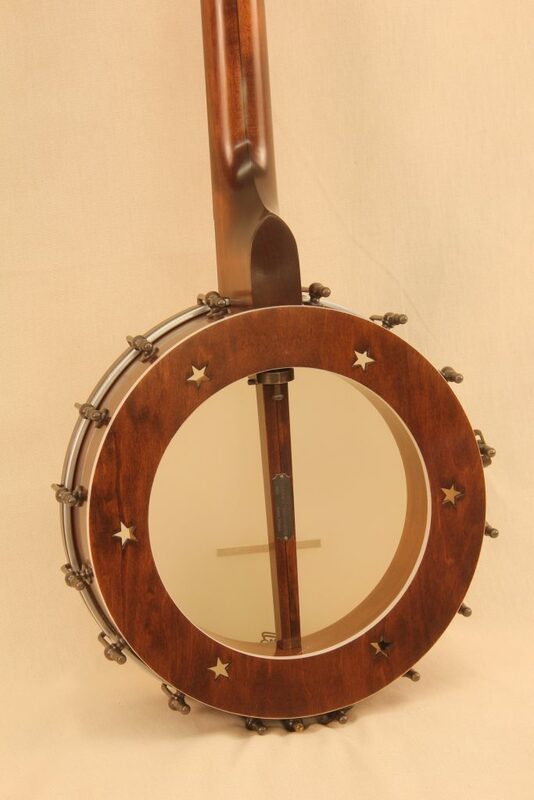 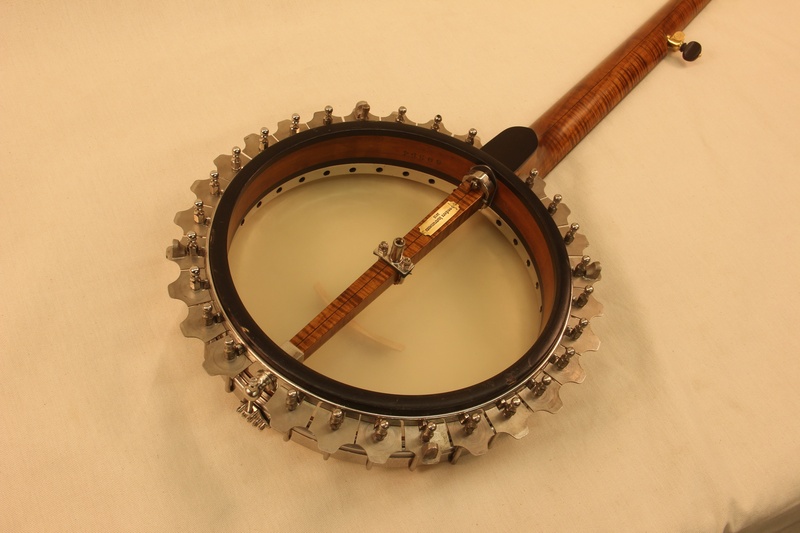 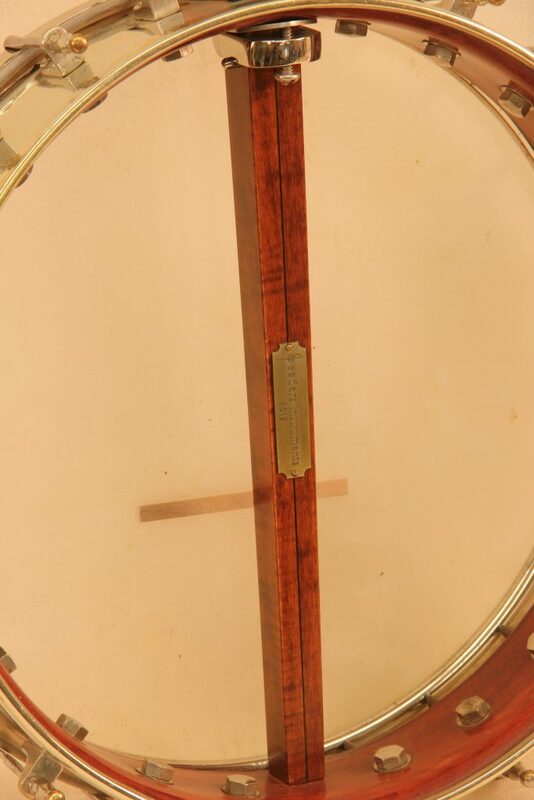 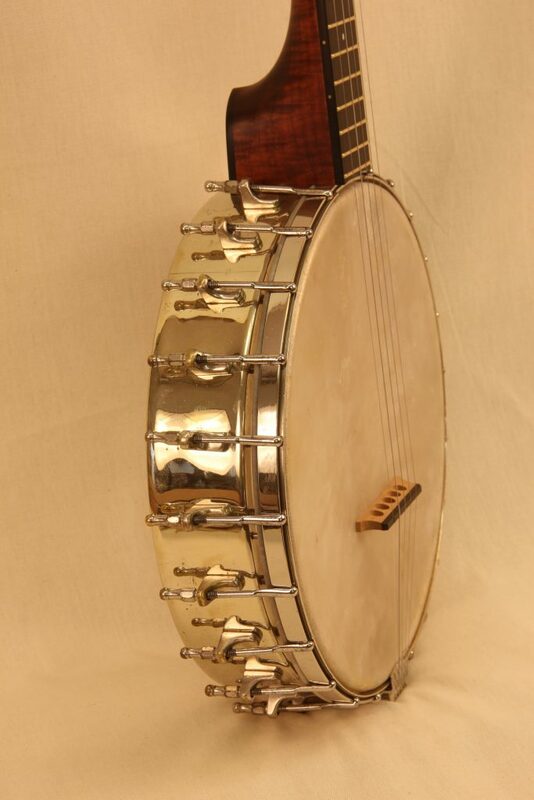 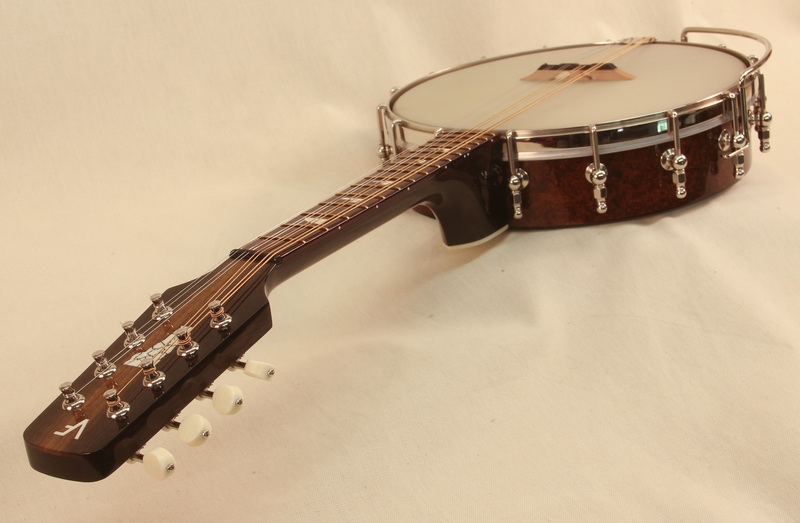 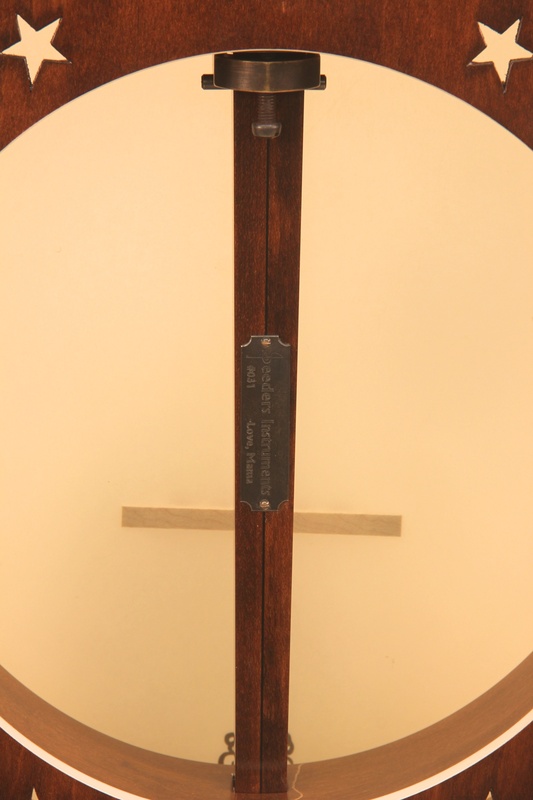 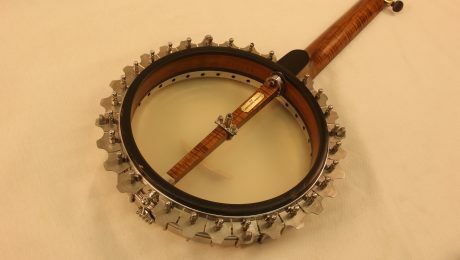 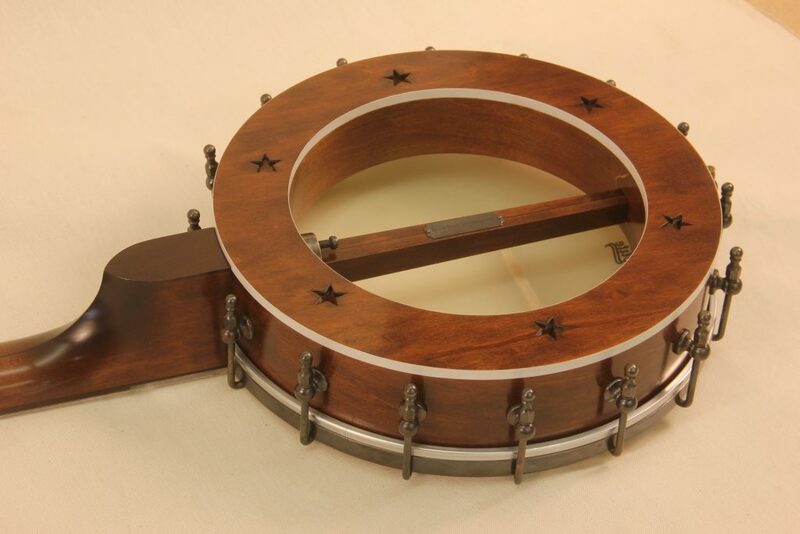 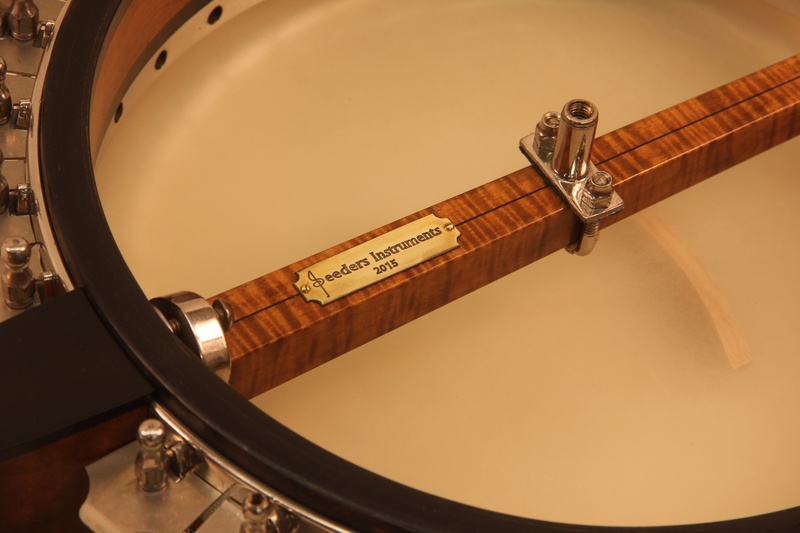 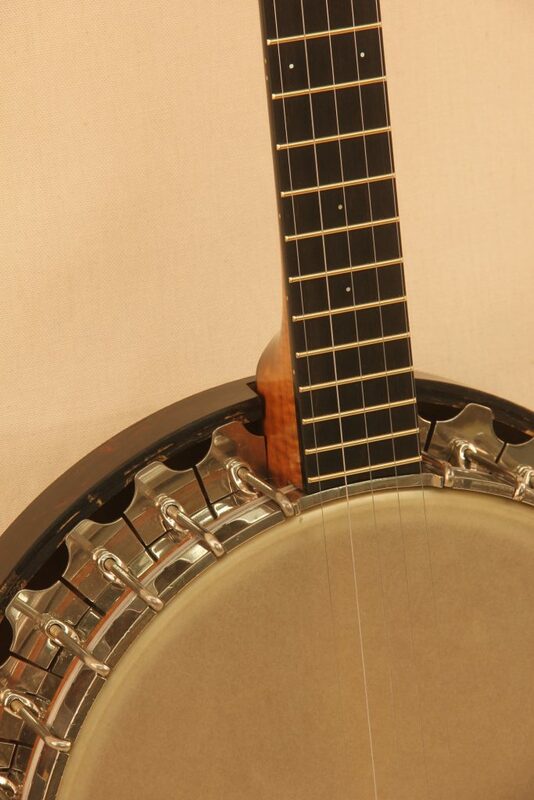 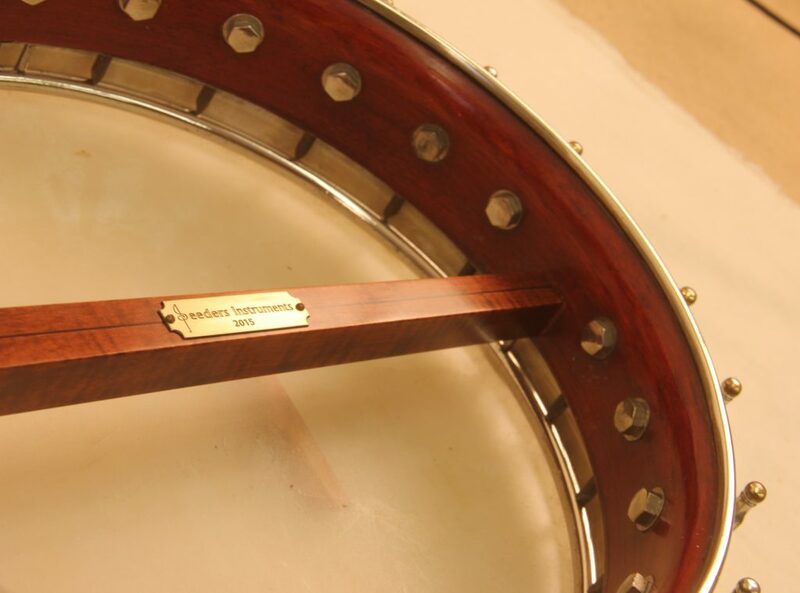 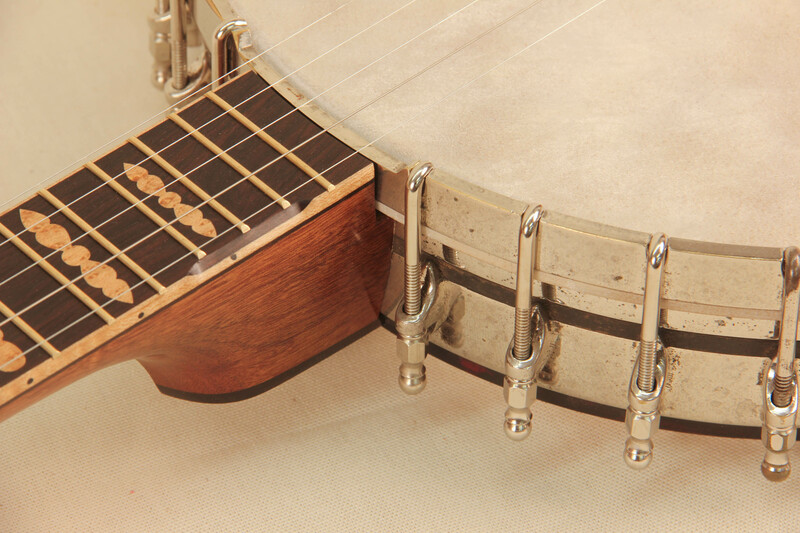 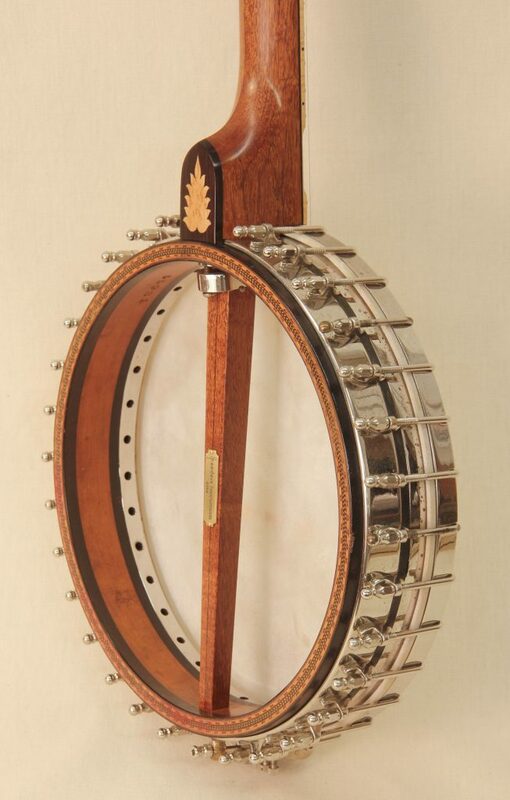 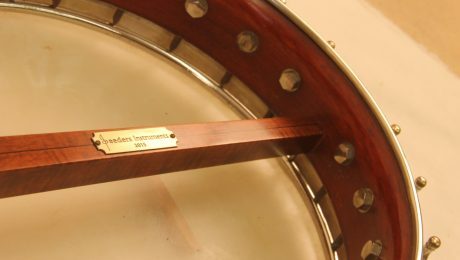 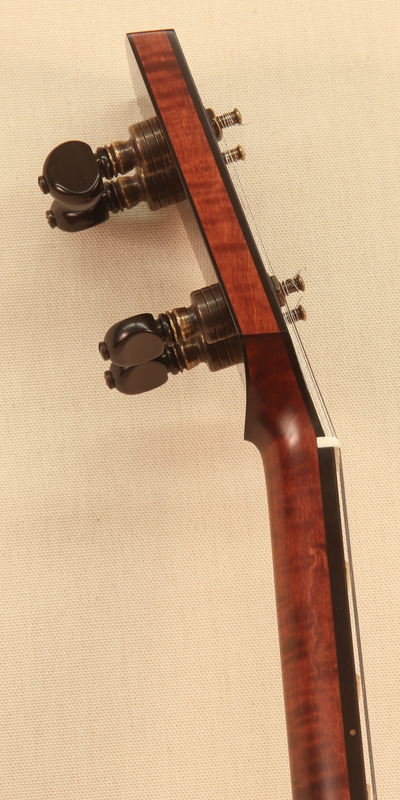 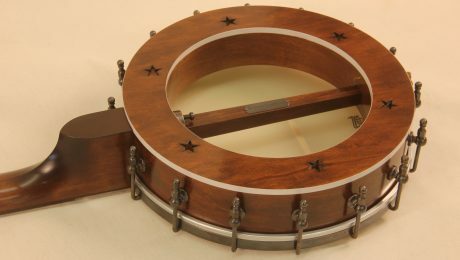 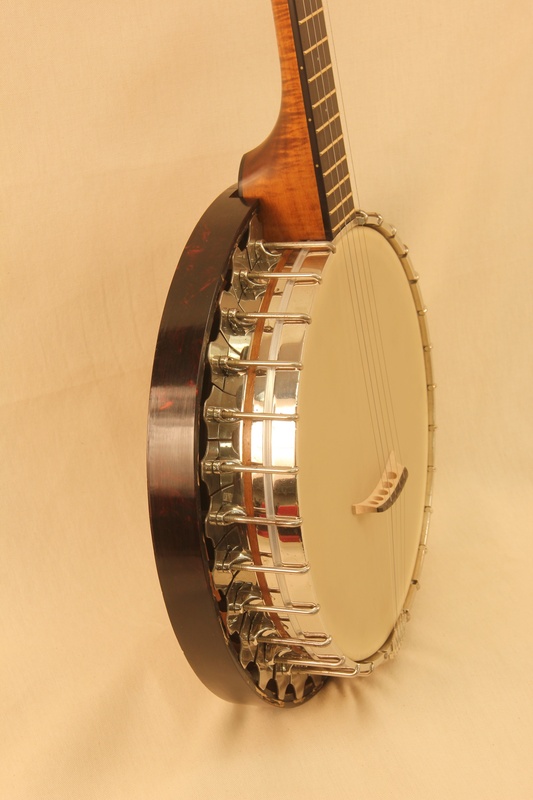 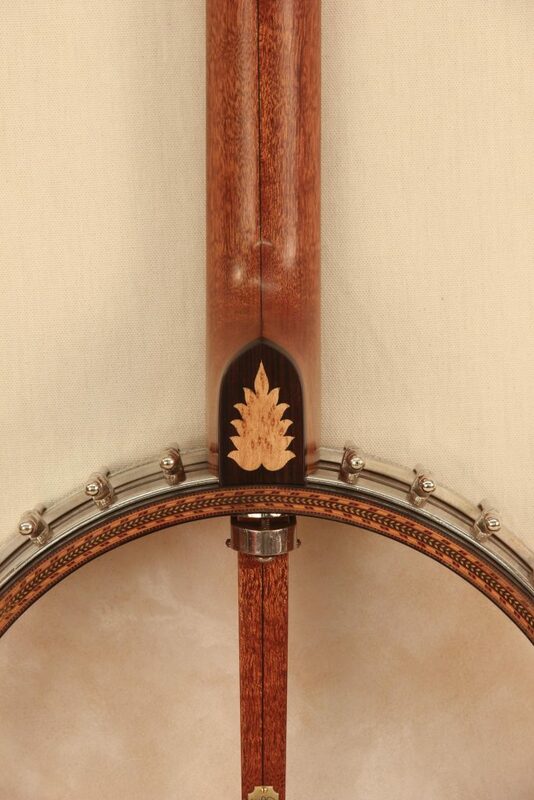 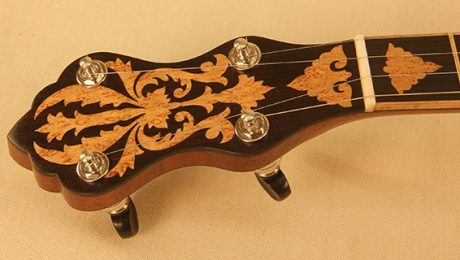 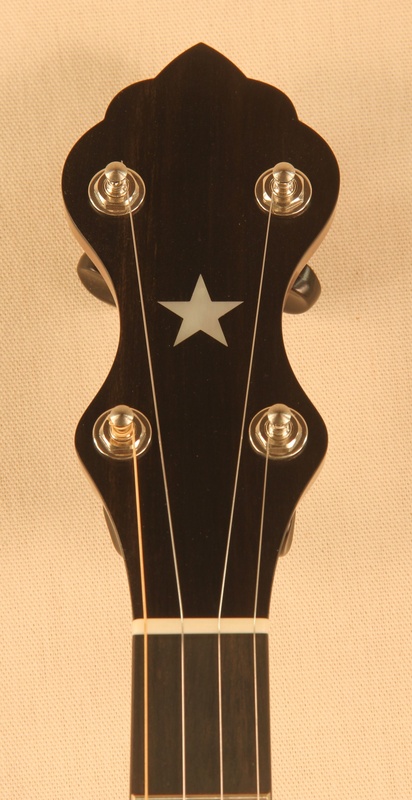 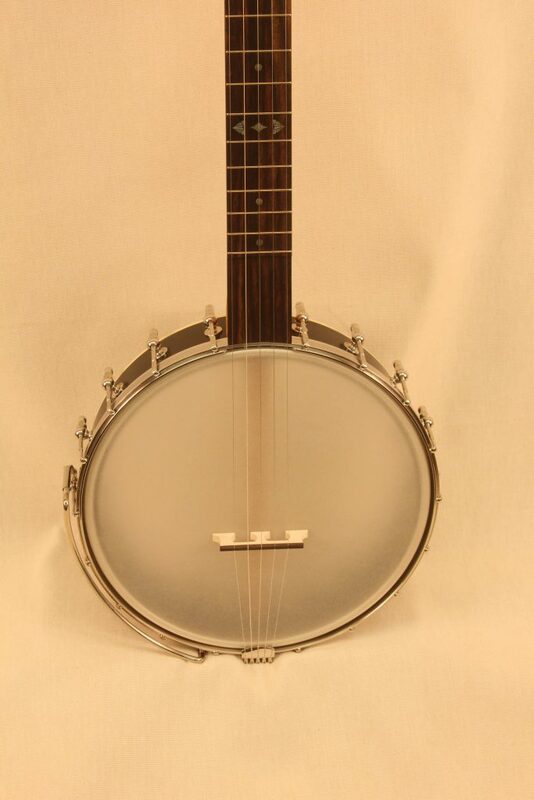 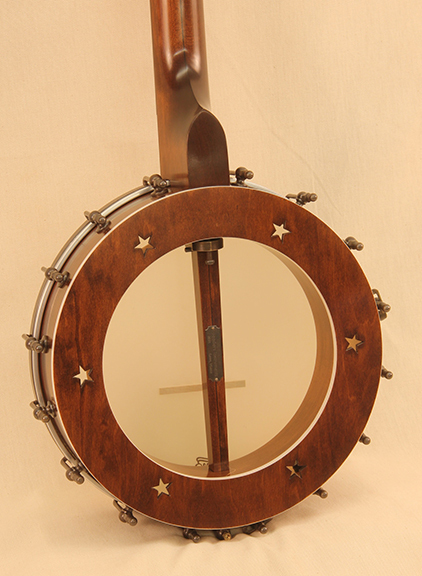 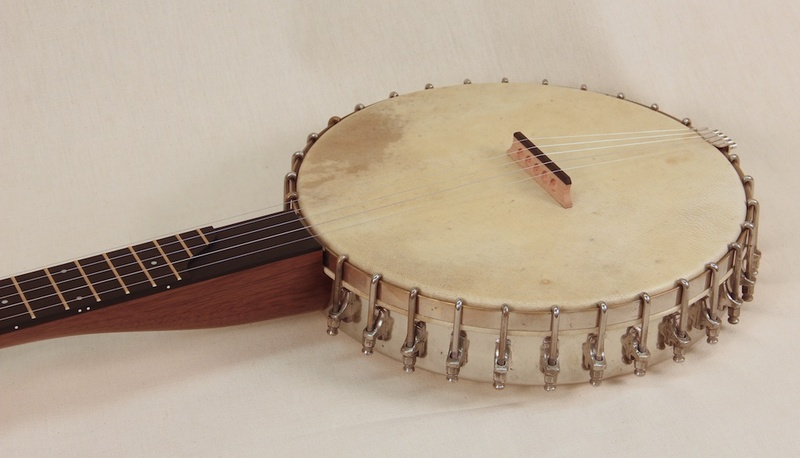 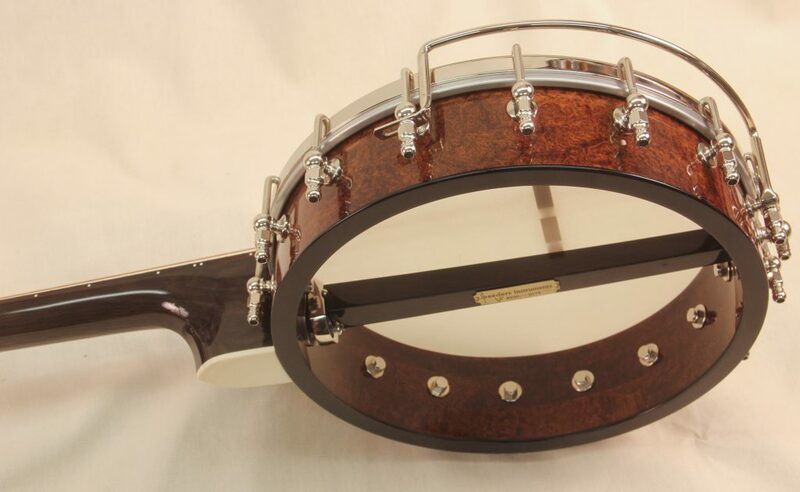 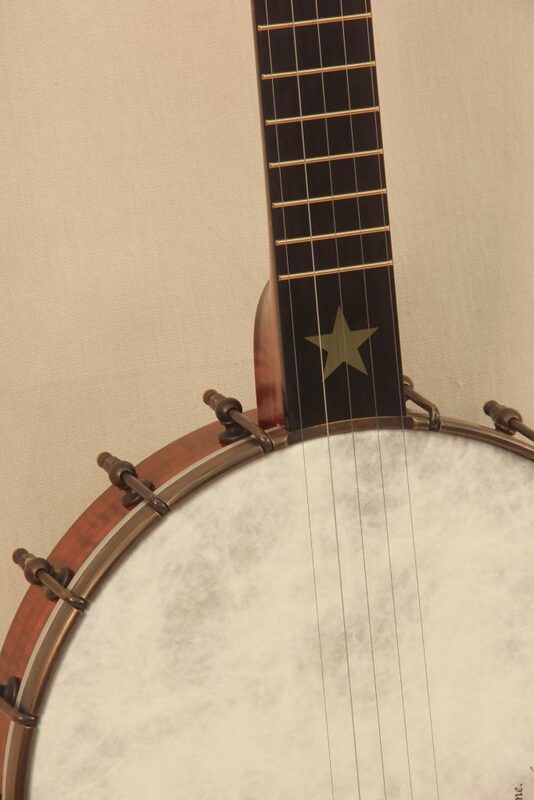 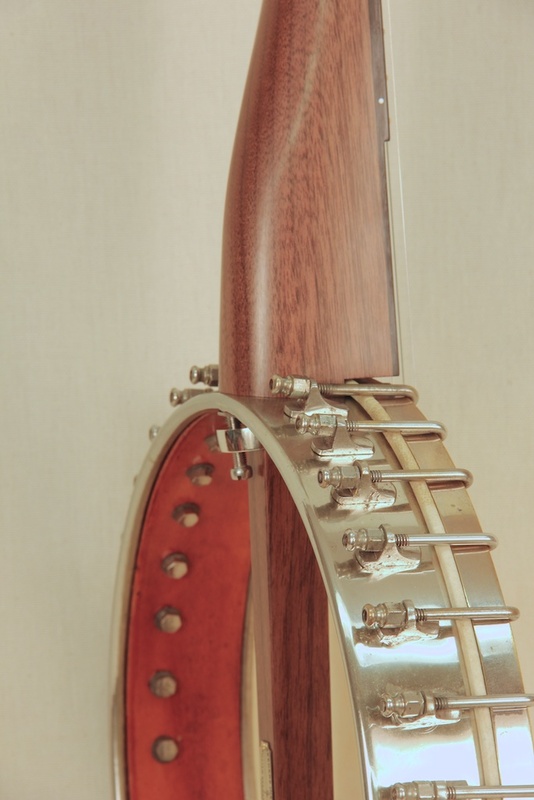 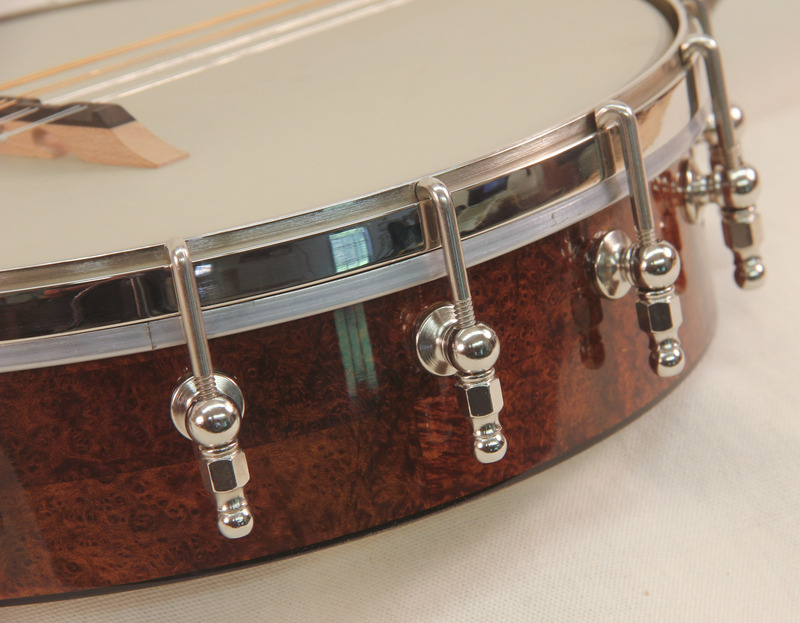 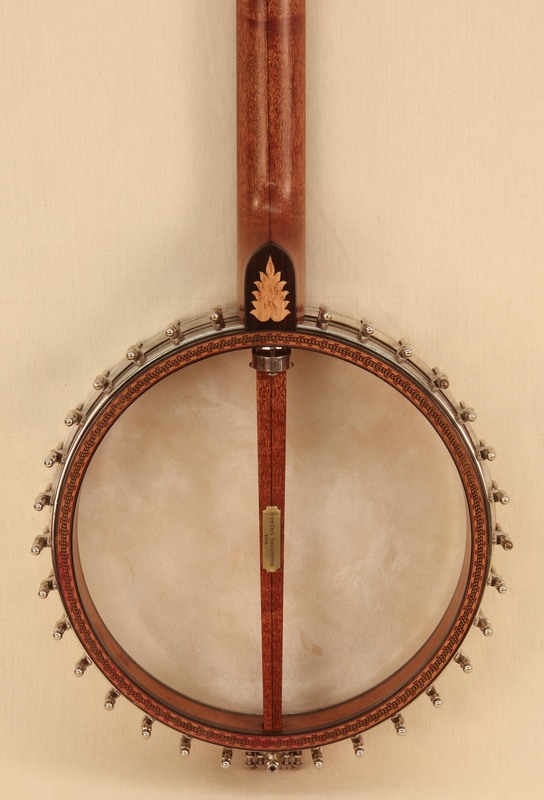 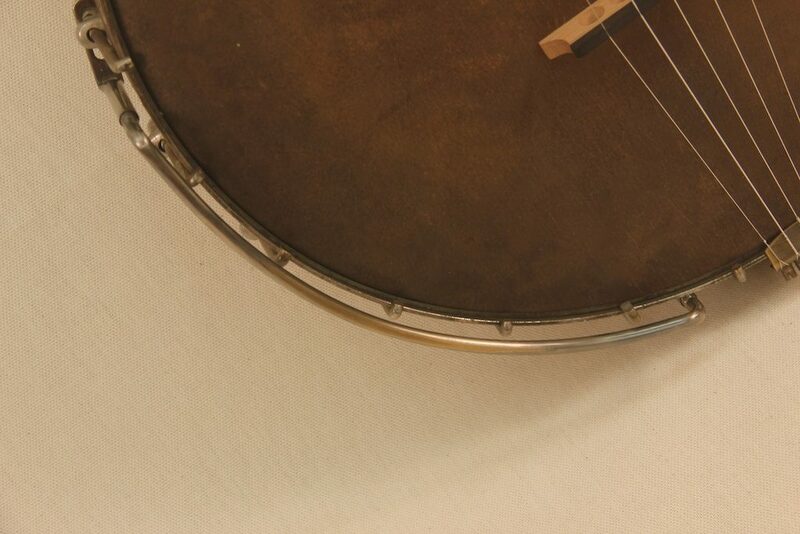 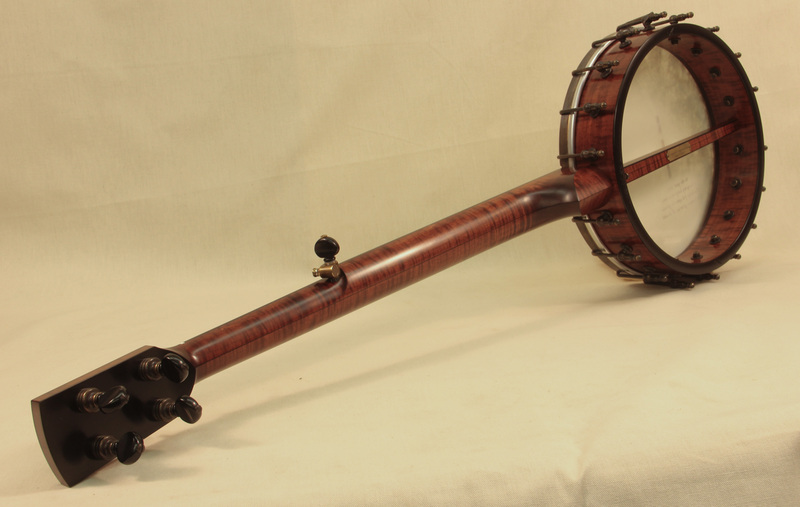 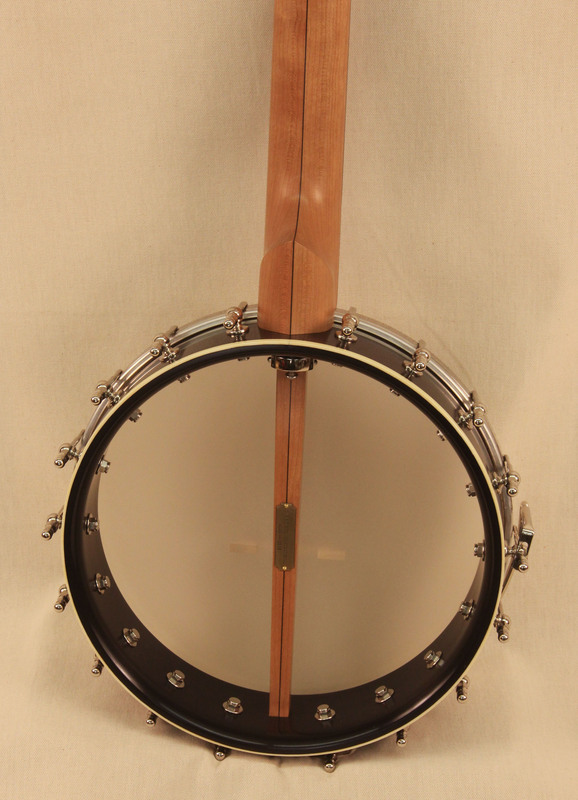 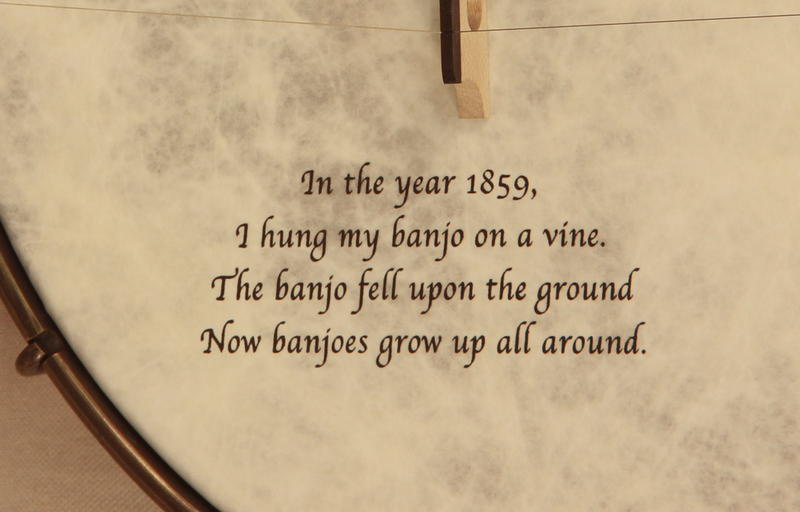 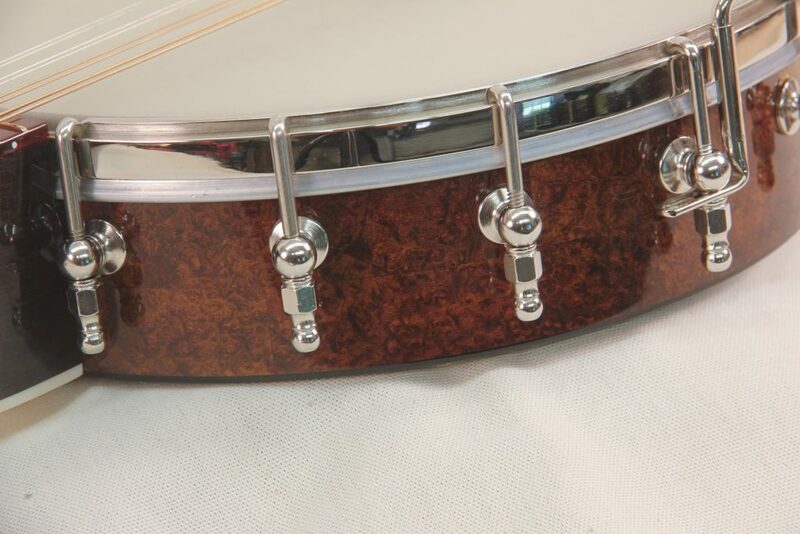 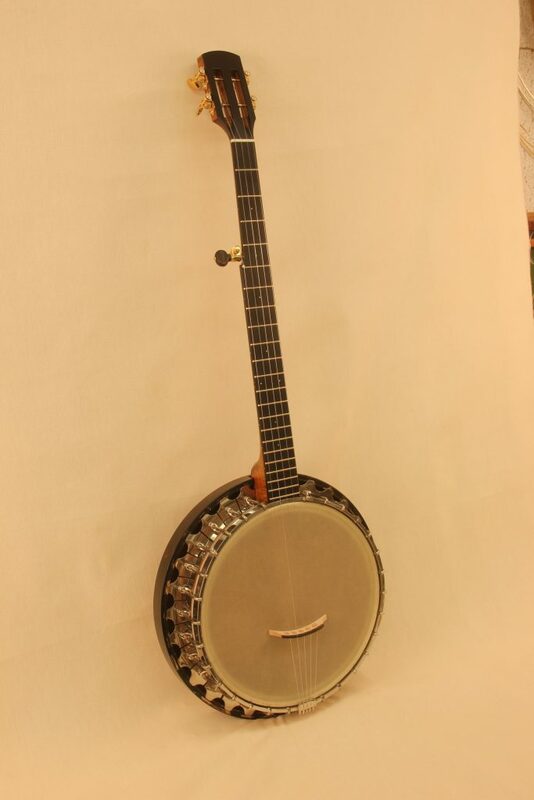 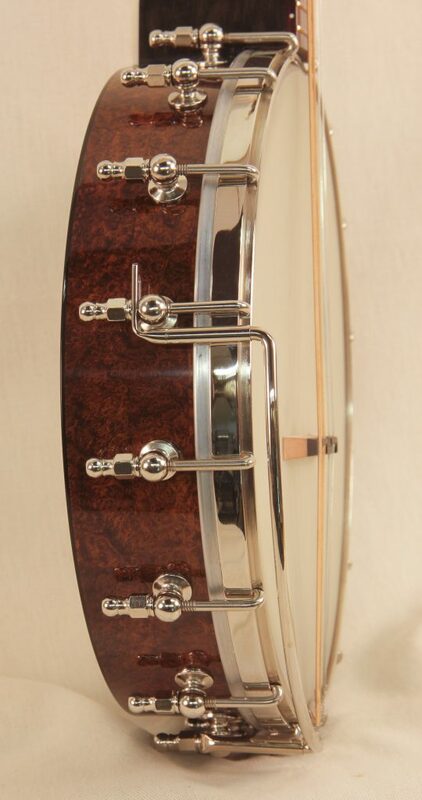 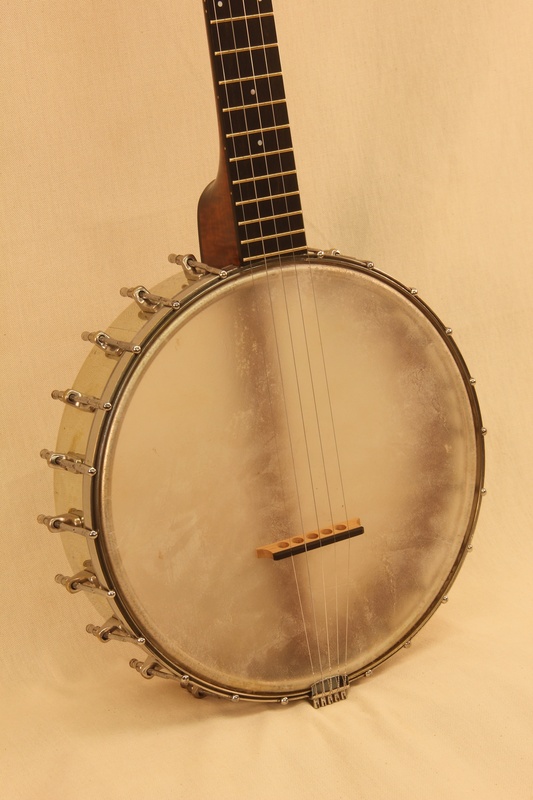 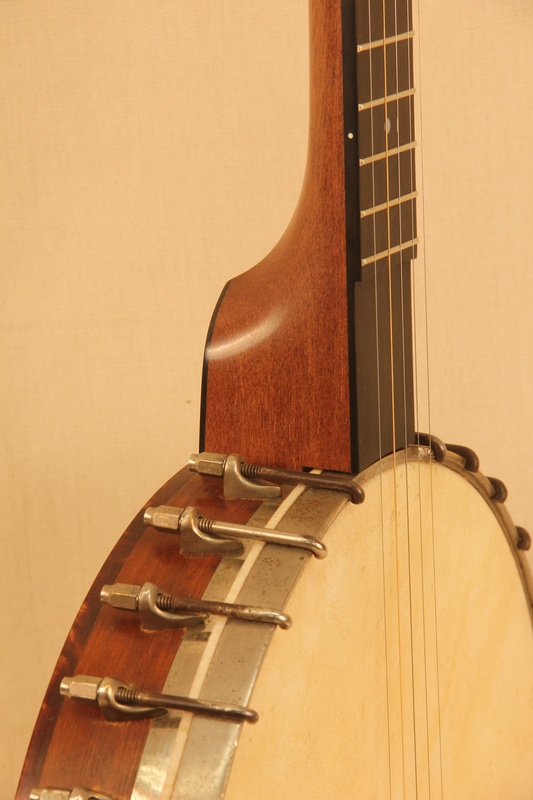 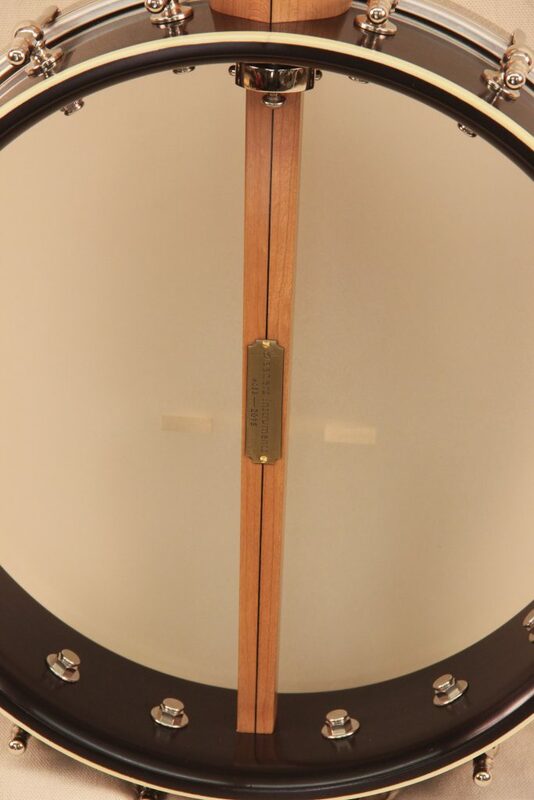 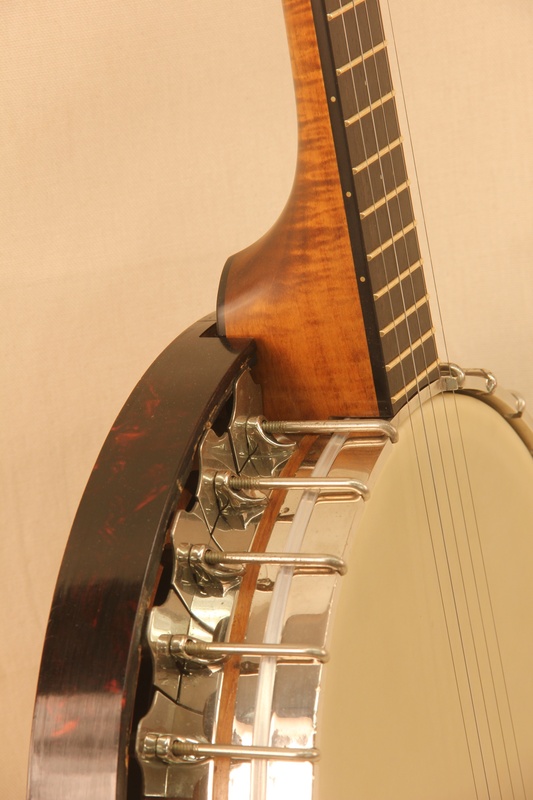 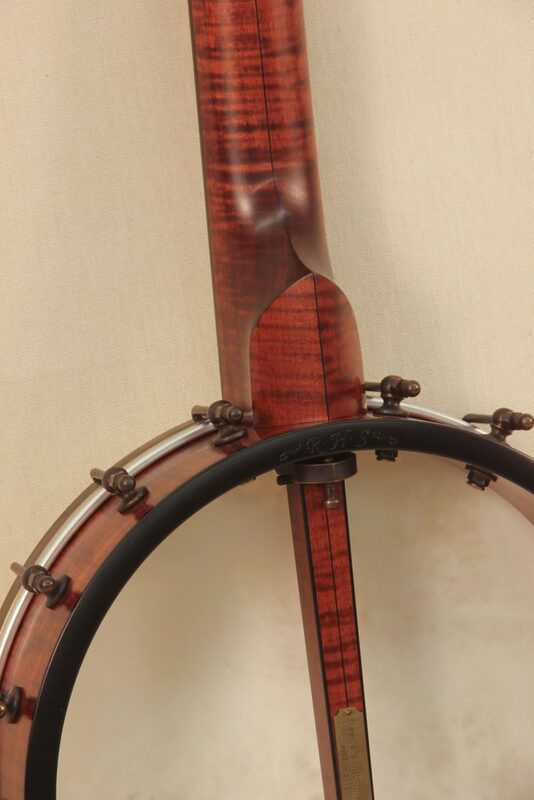 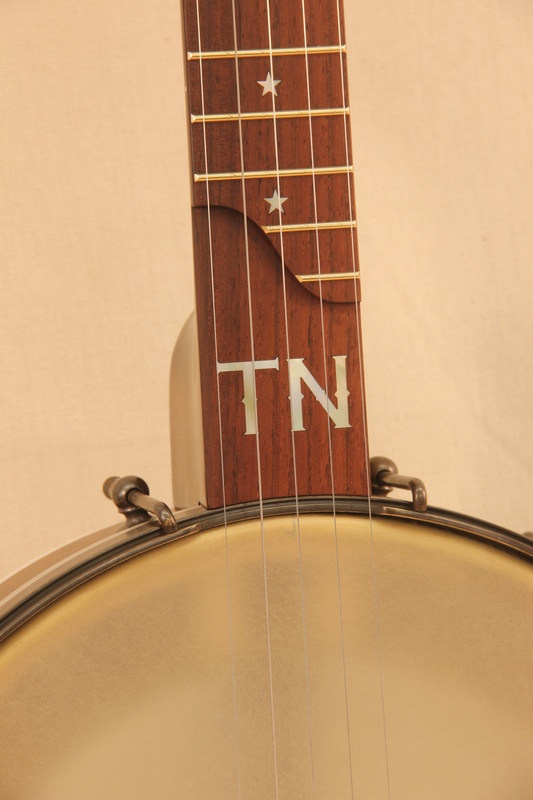 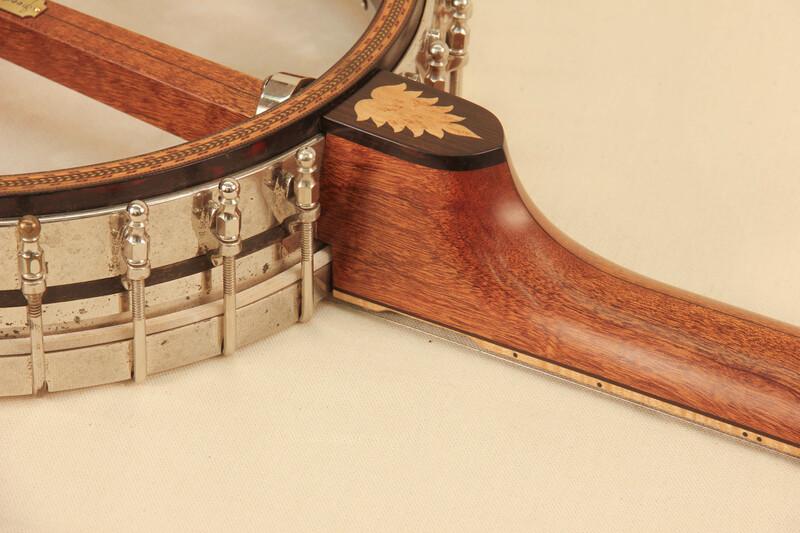 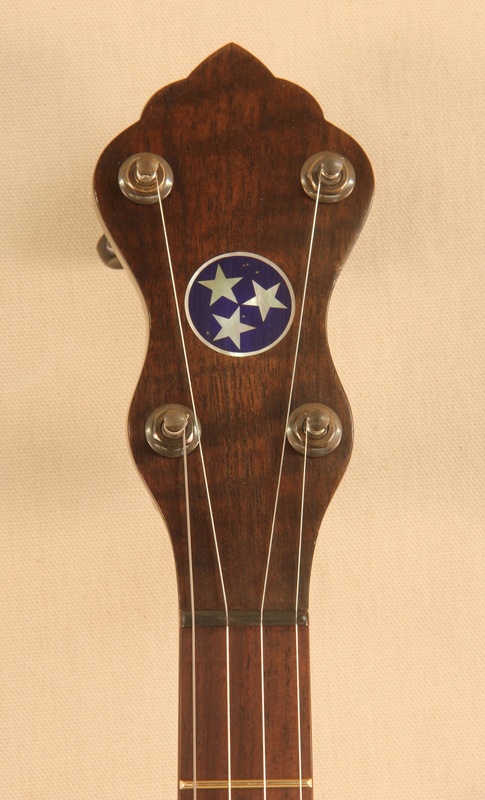 The combination of the shorter scale with the wide 11-13/16″ Tubaphone rim turned out to be an excellent sounding banjo. 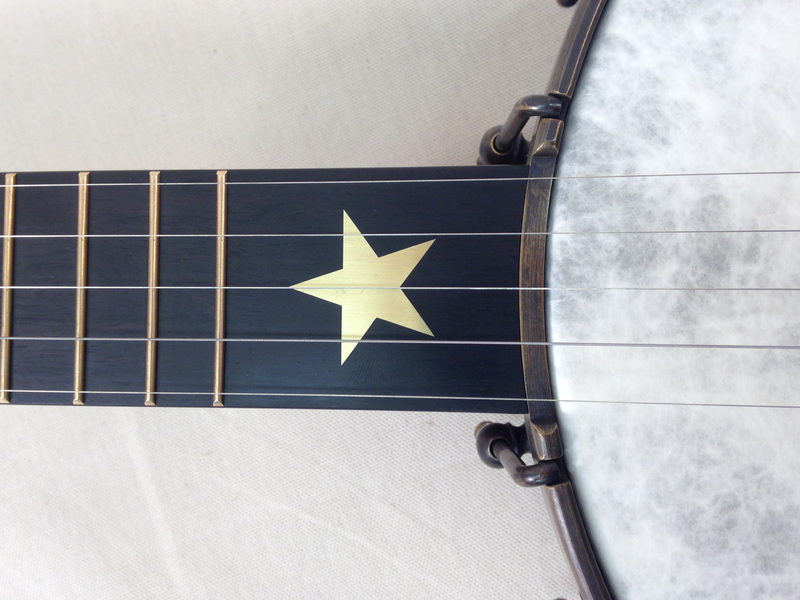 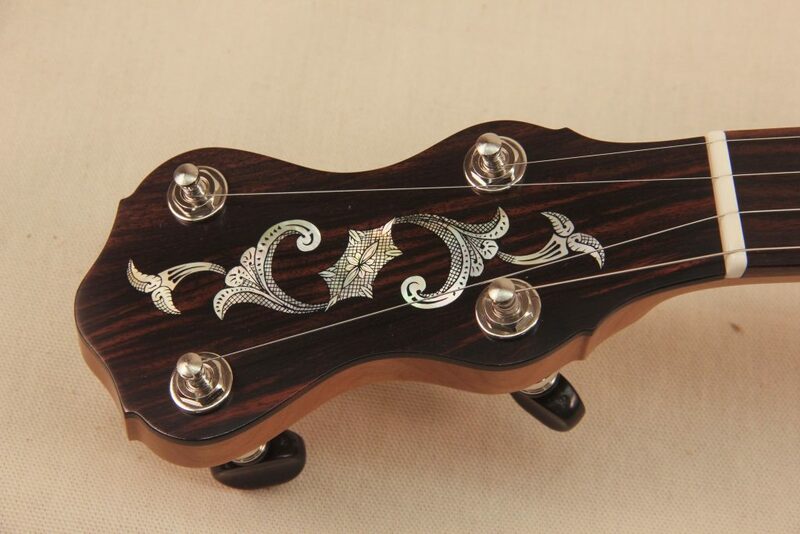 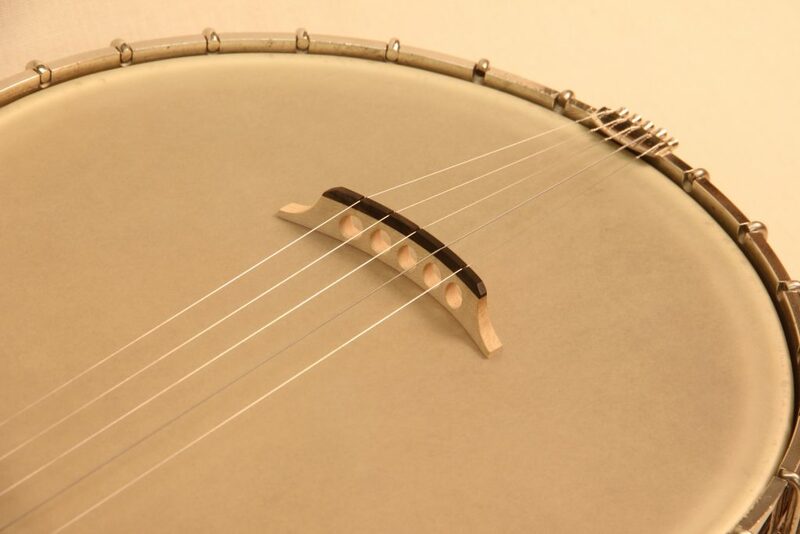 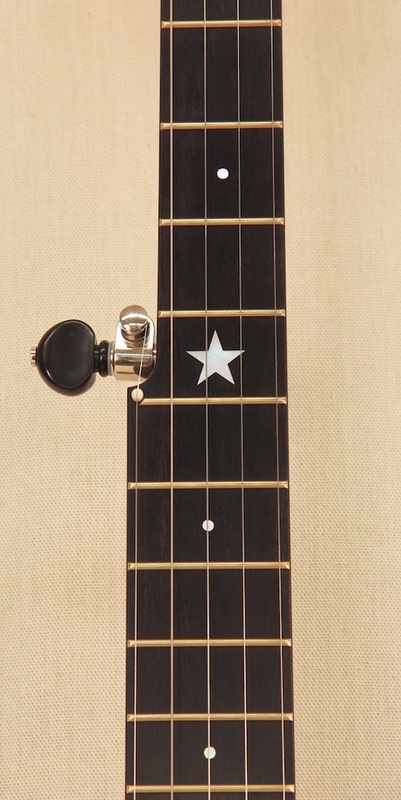 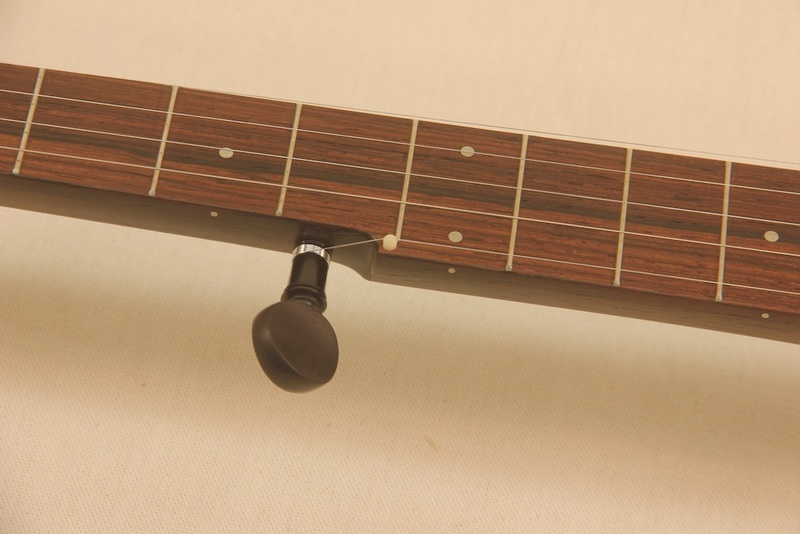 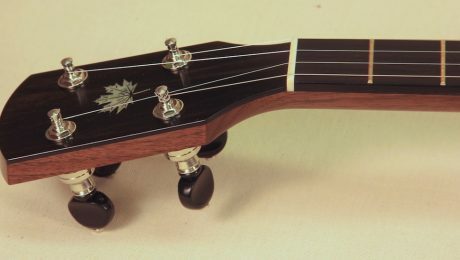 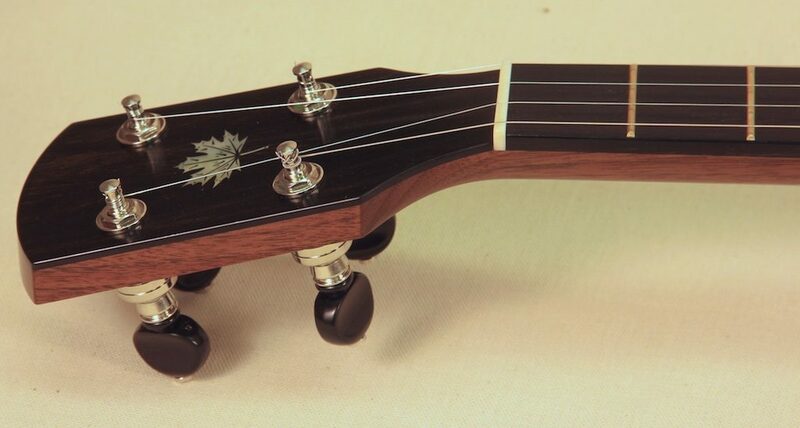 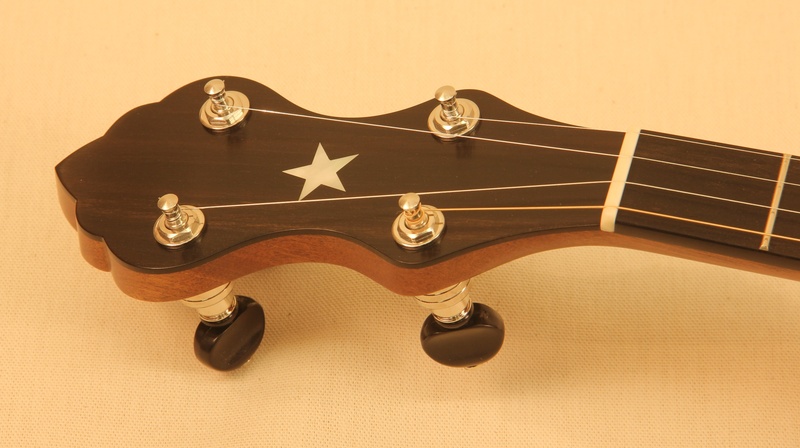 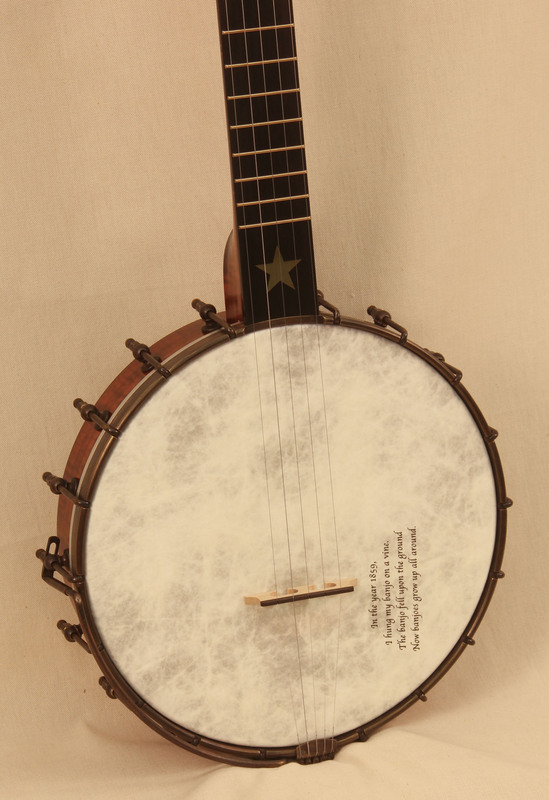 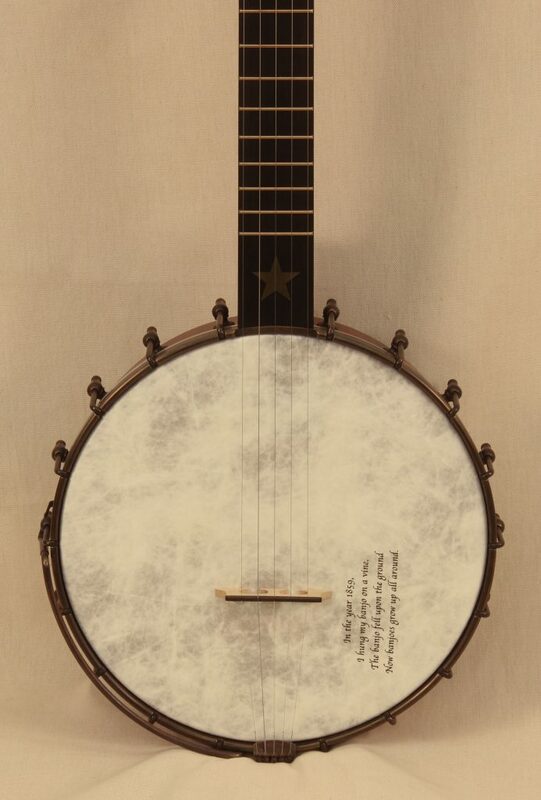 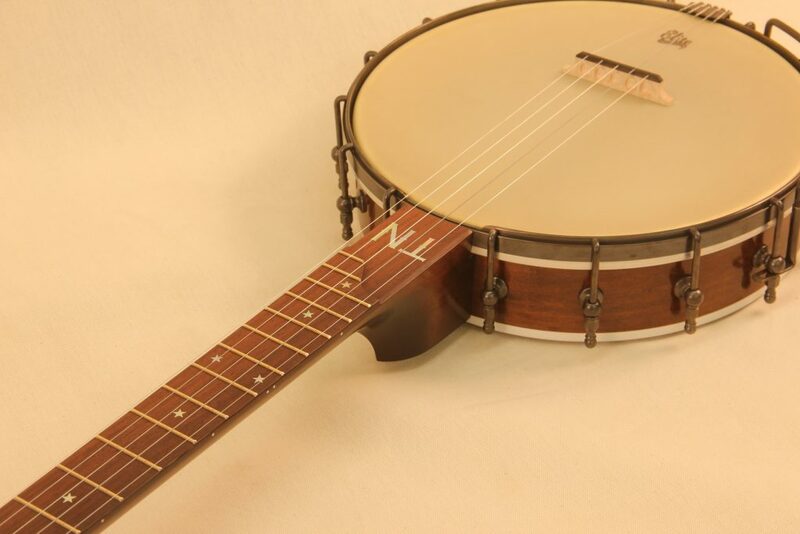 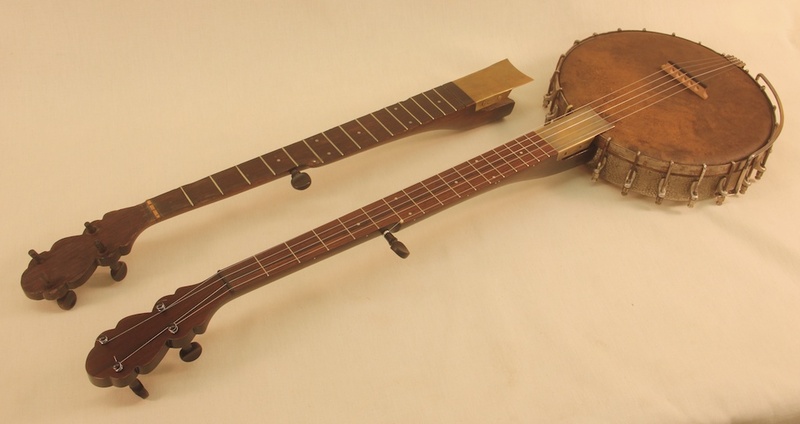 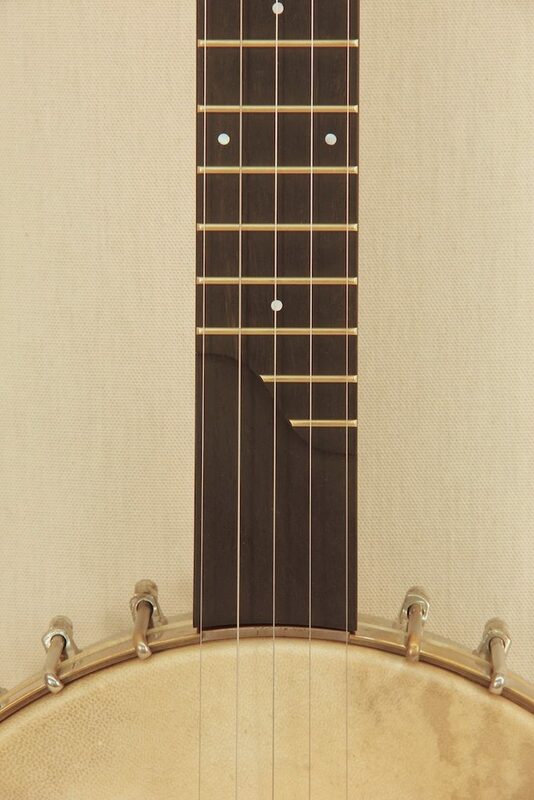 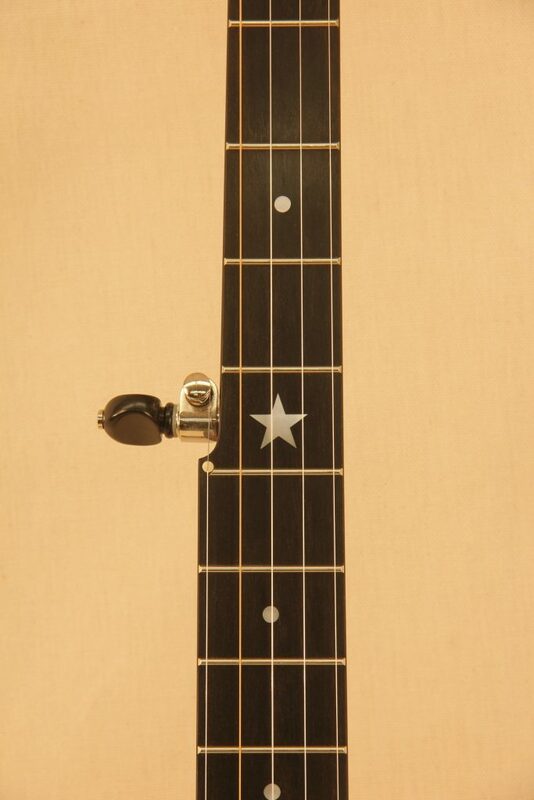 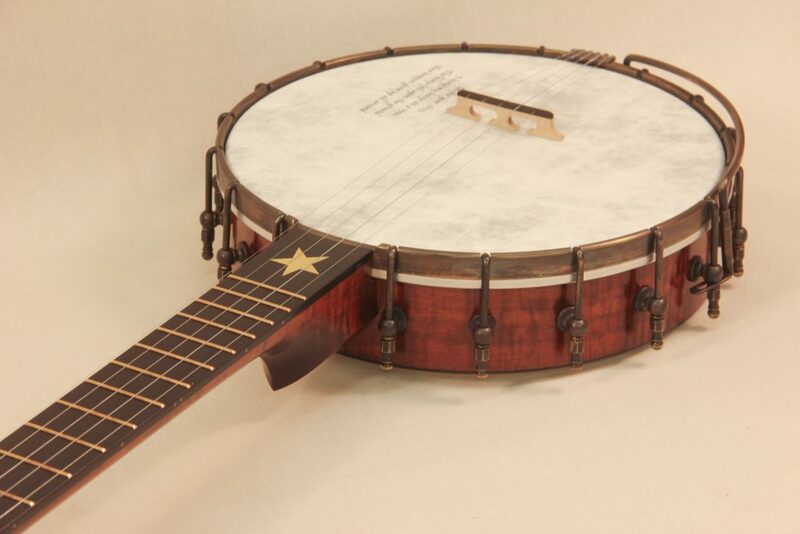 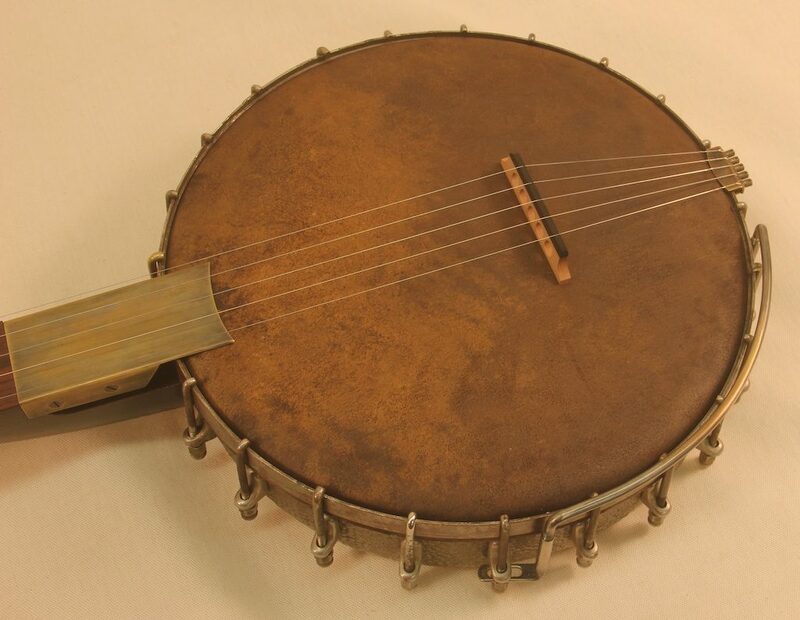 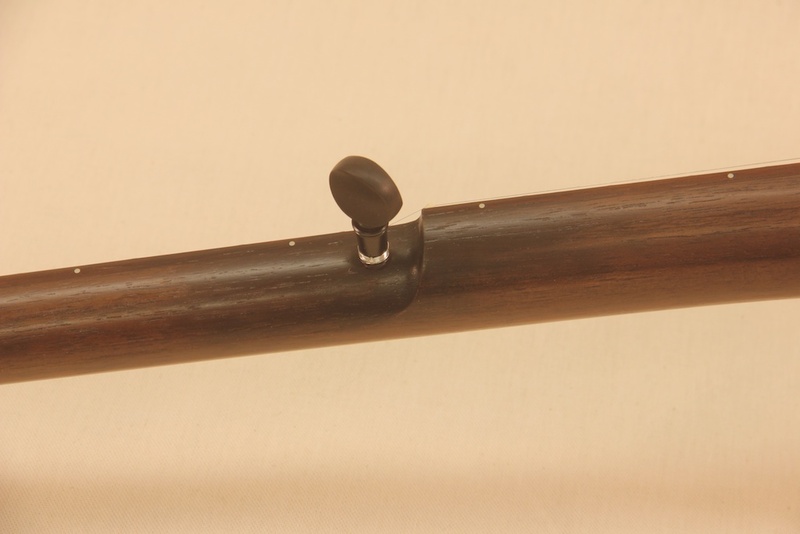 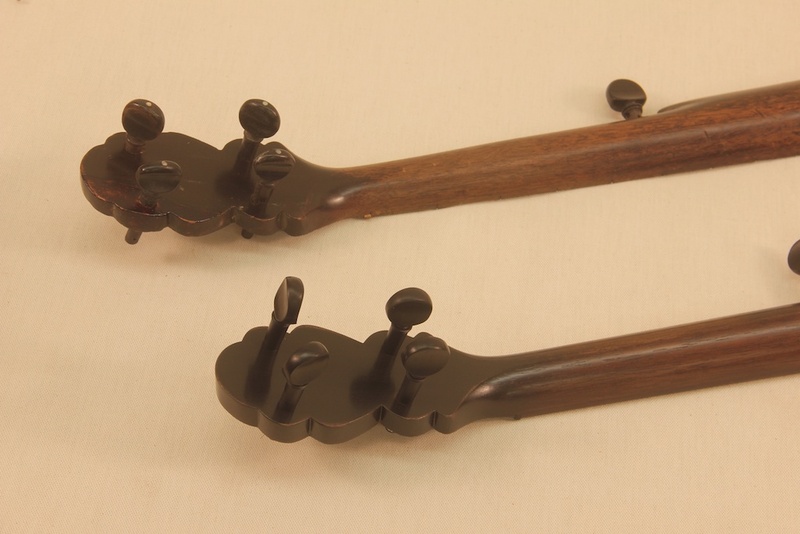 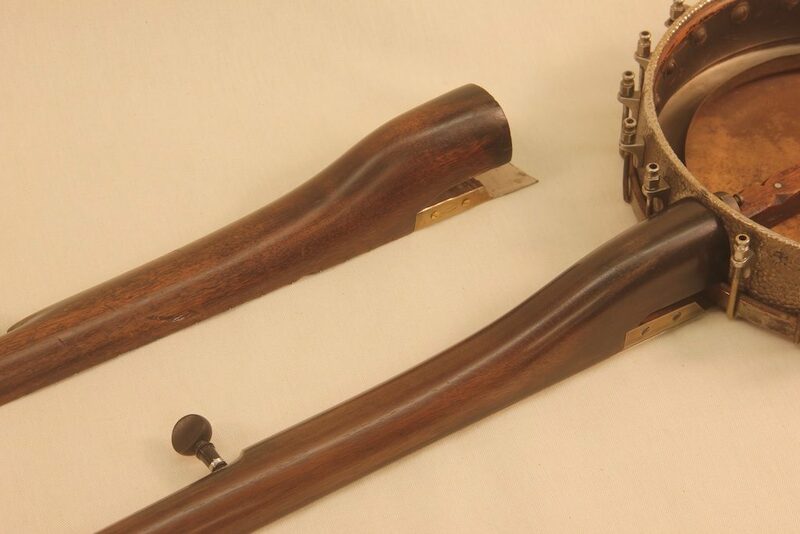 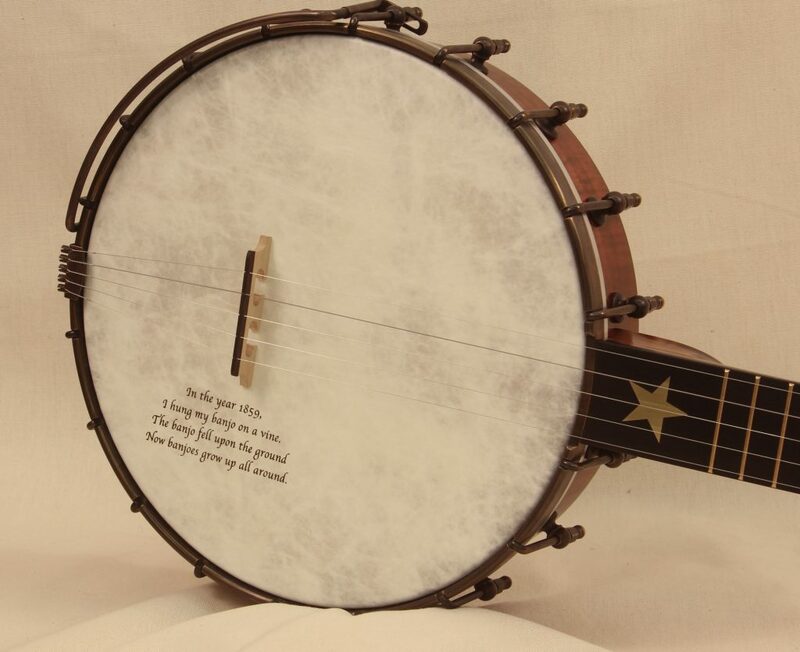 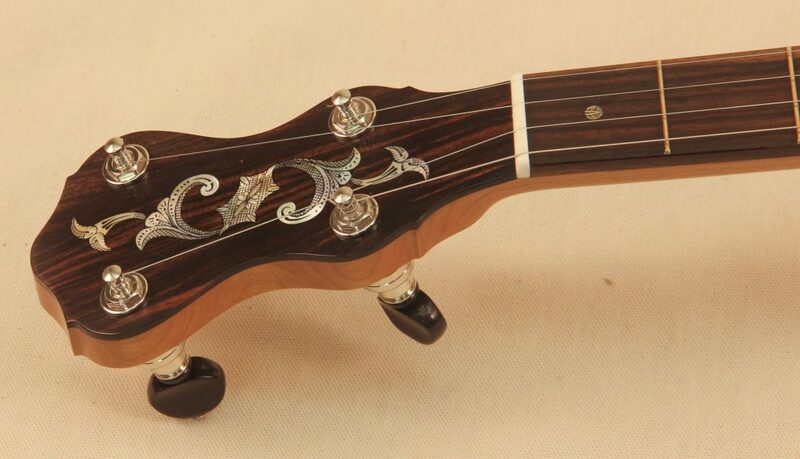 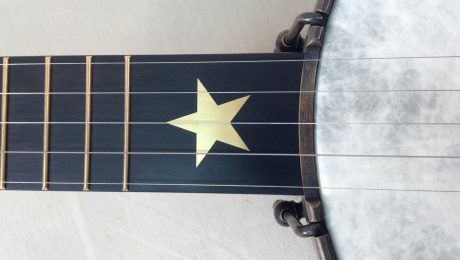 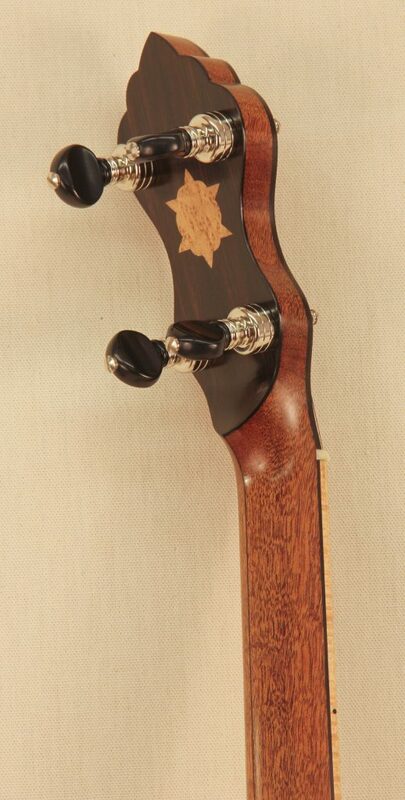 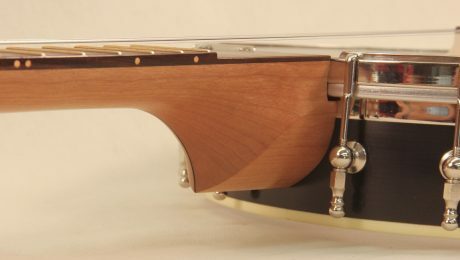 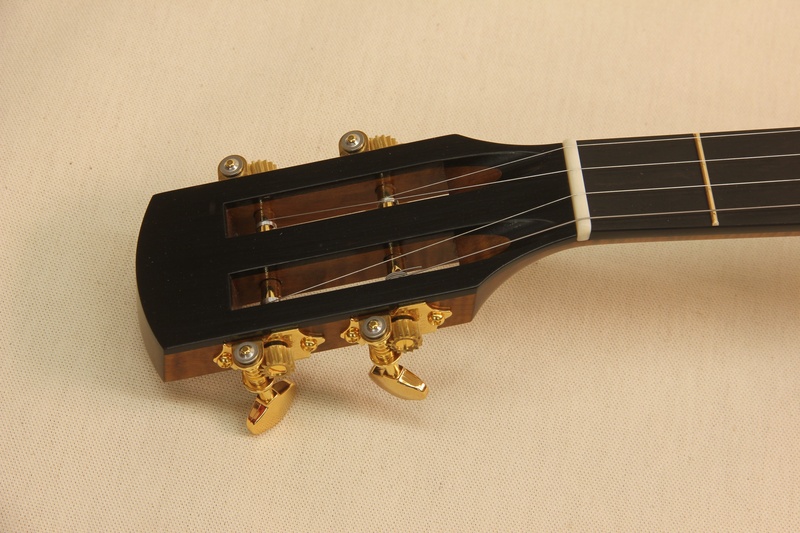 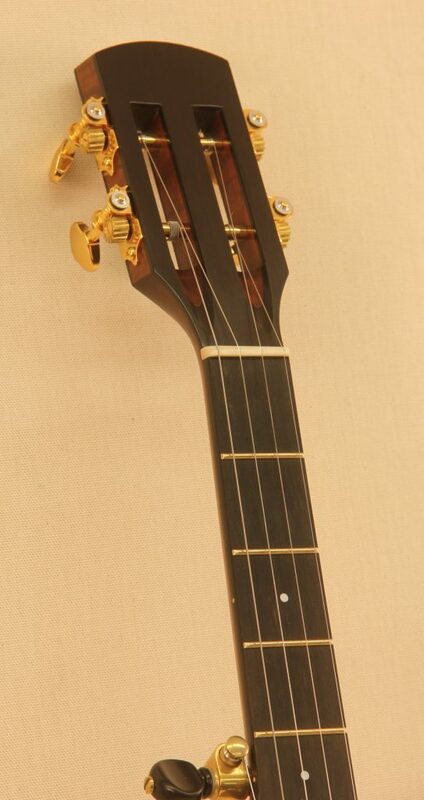 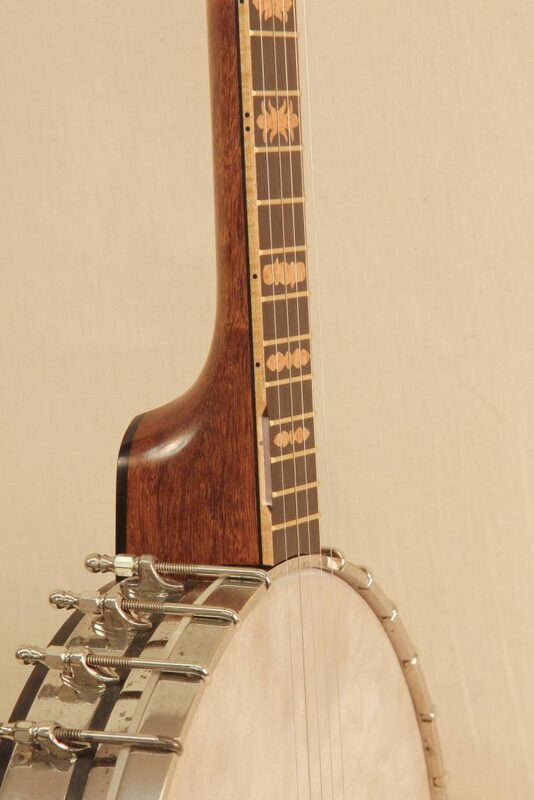 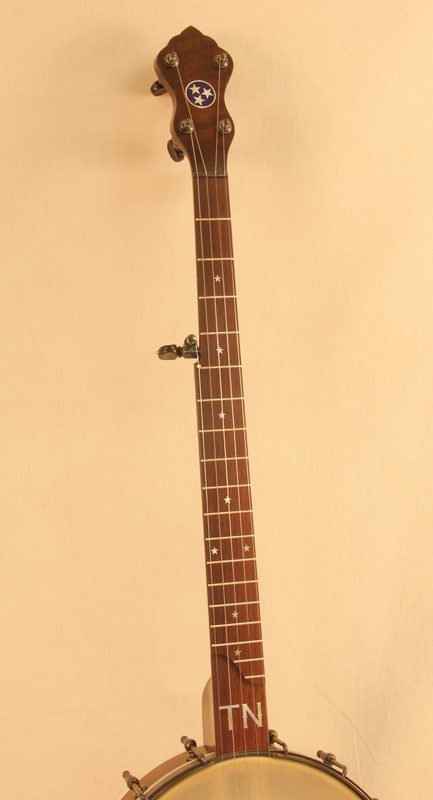 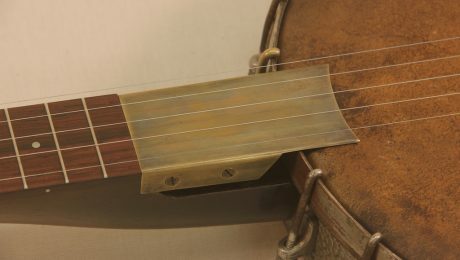 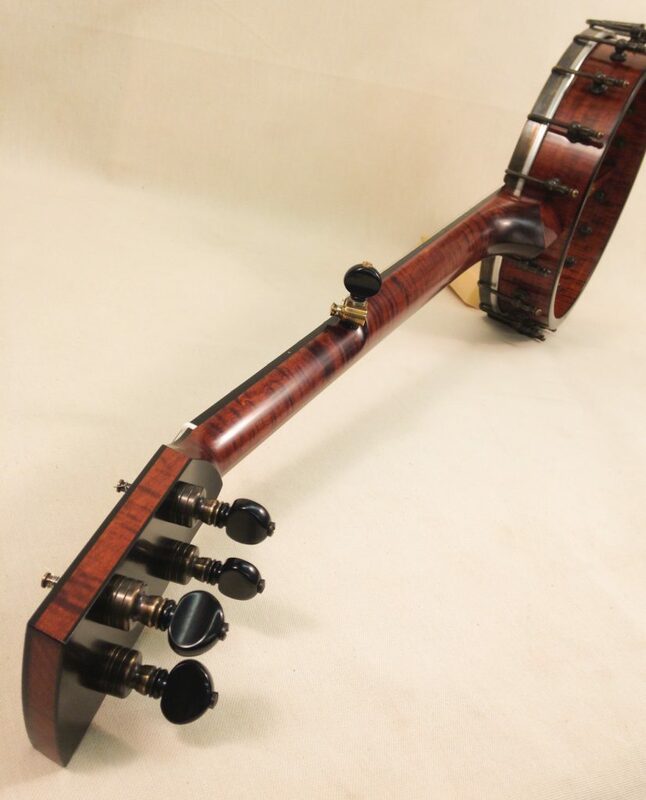 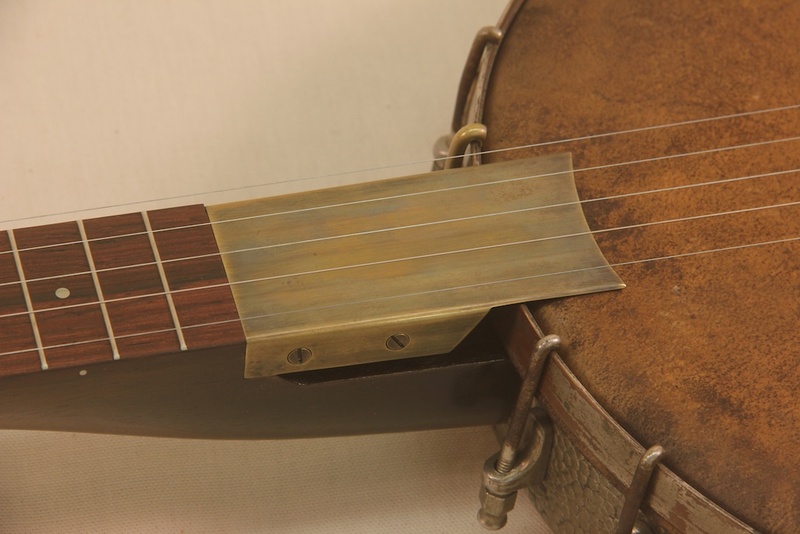 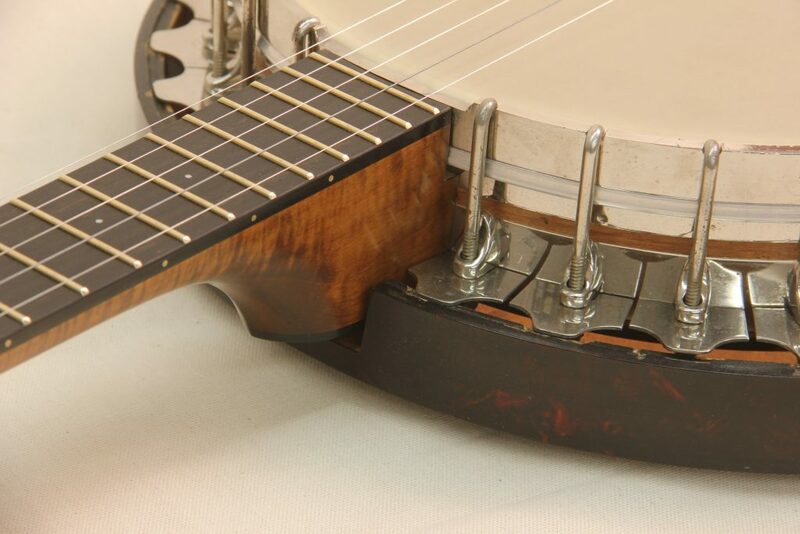 This banjo also features a thumb scoop in between the 17th and 21st frets giving you the perfect amount of room to catch your thumb while playing over the fingerboard. 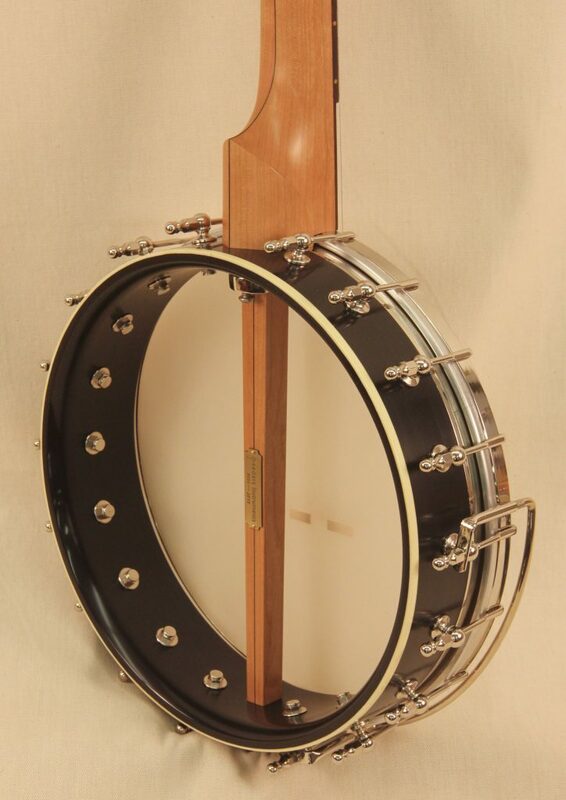 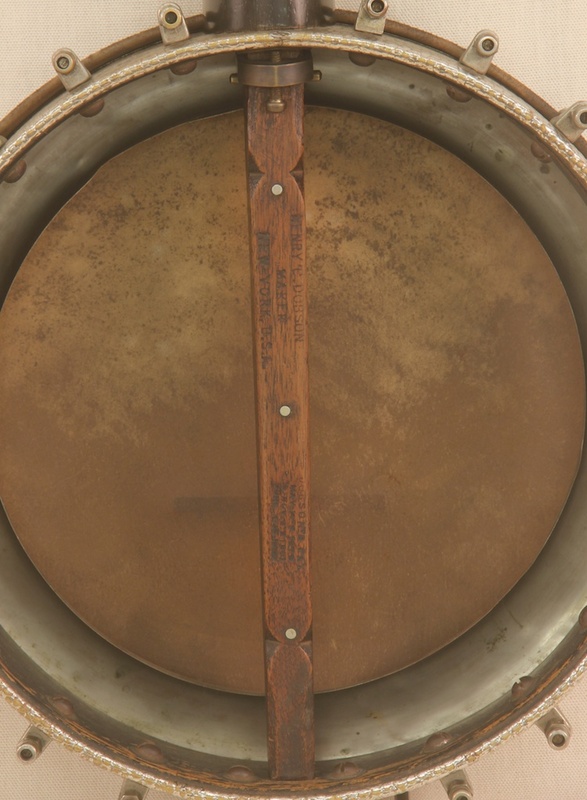 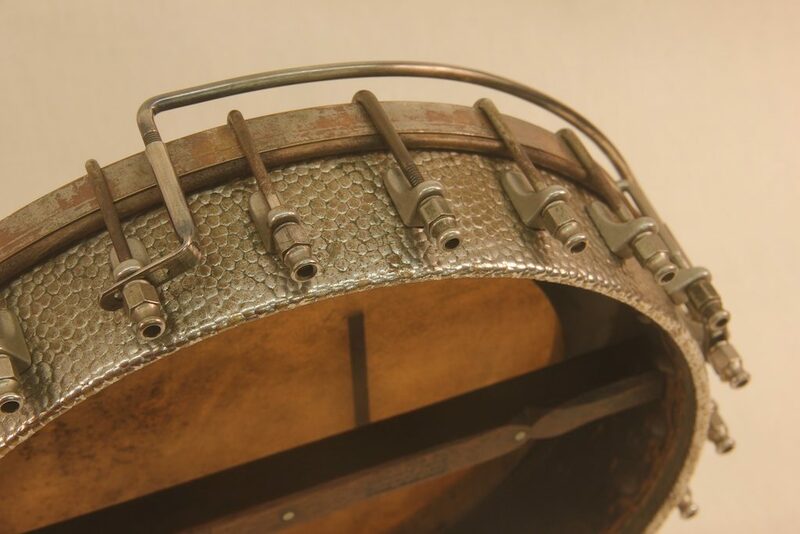 A nice old original Tubaphone rim with an original Tubaphone resonator. 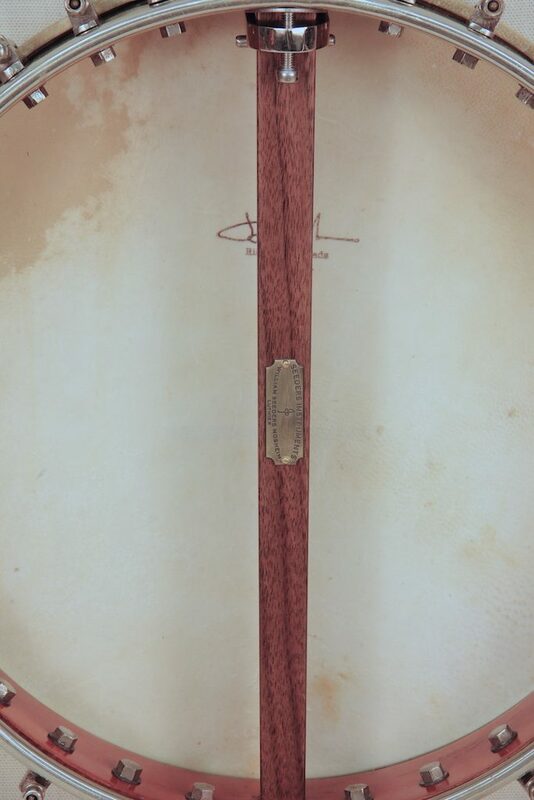 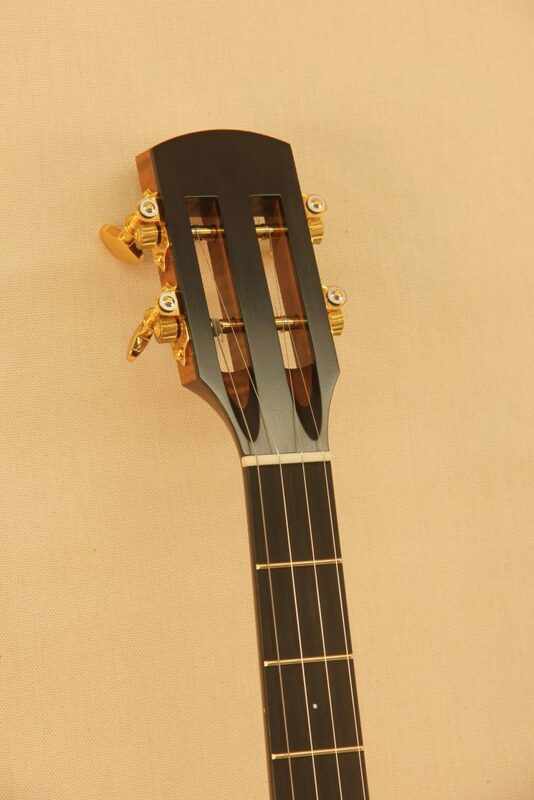 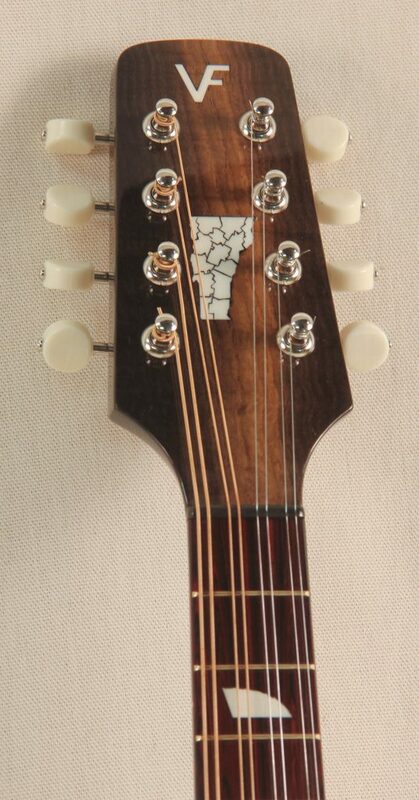 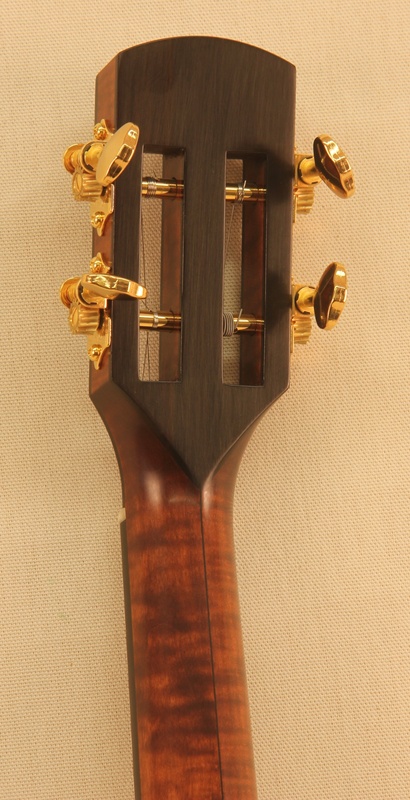 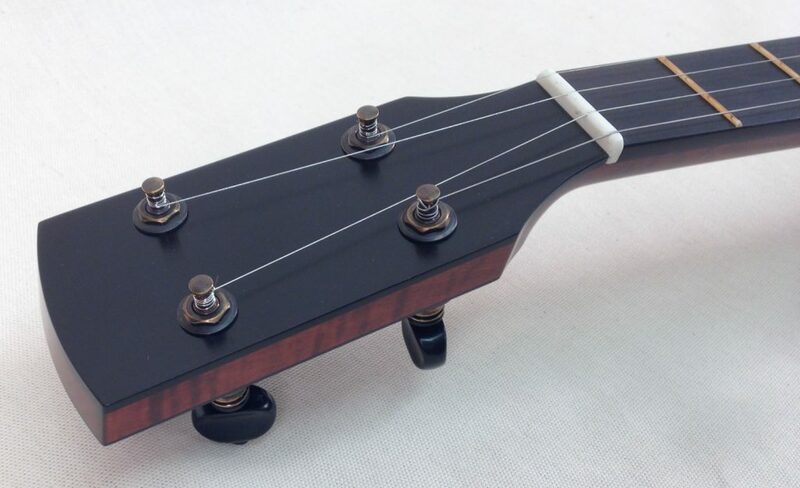 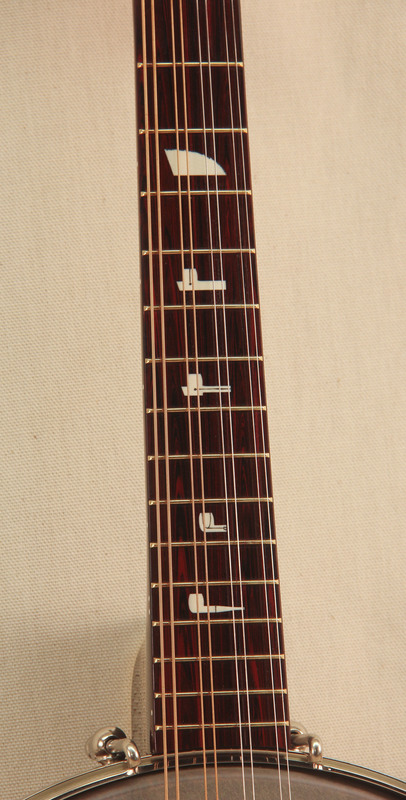 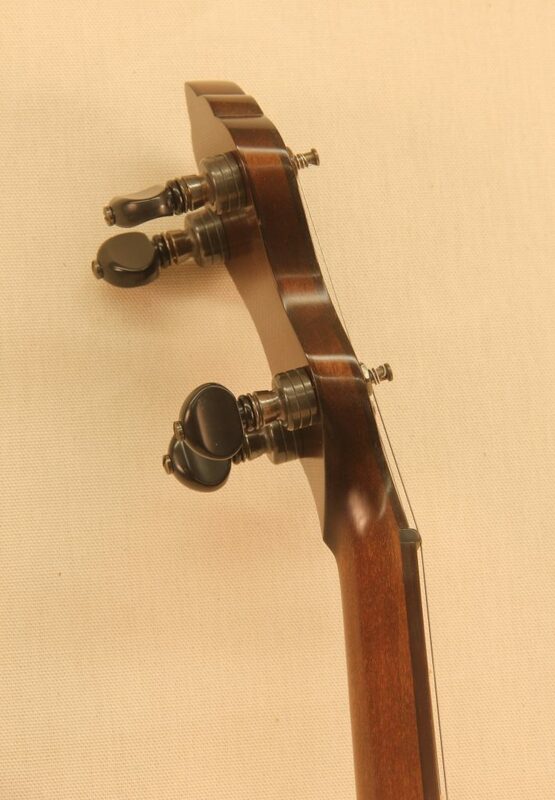 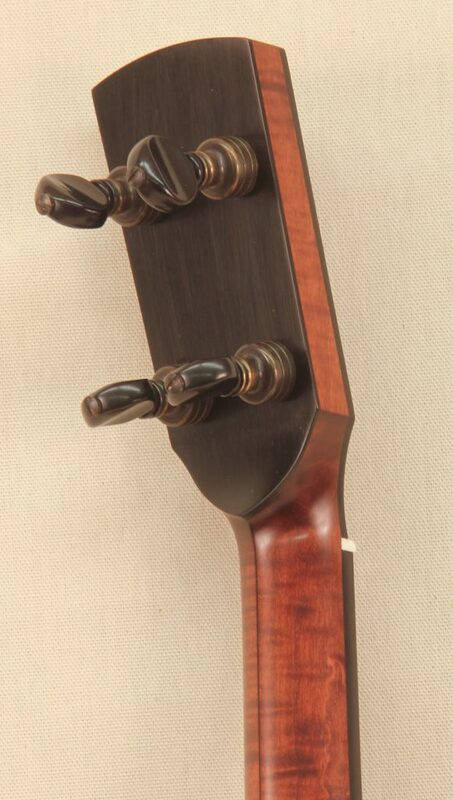 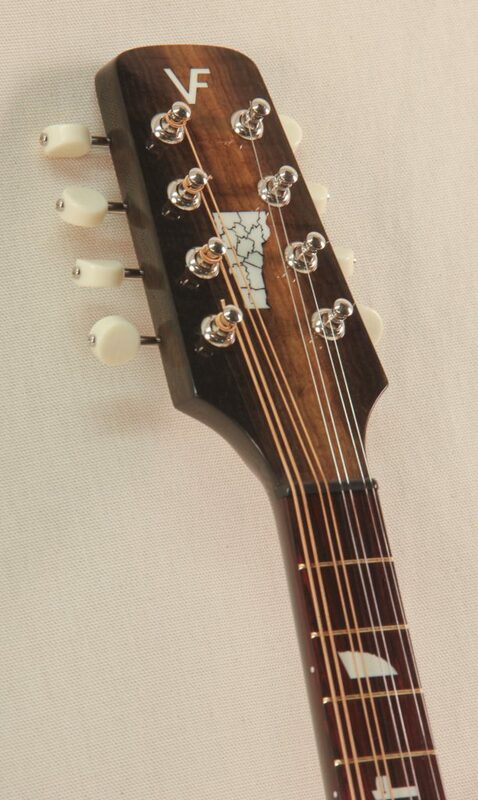 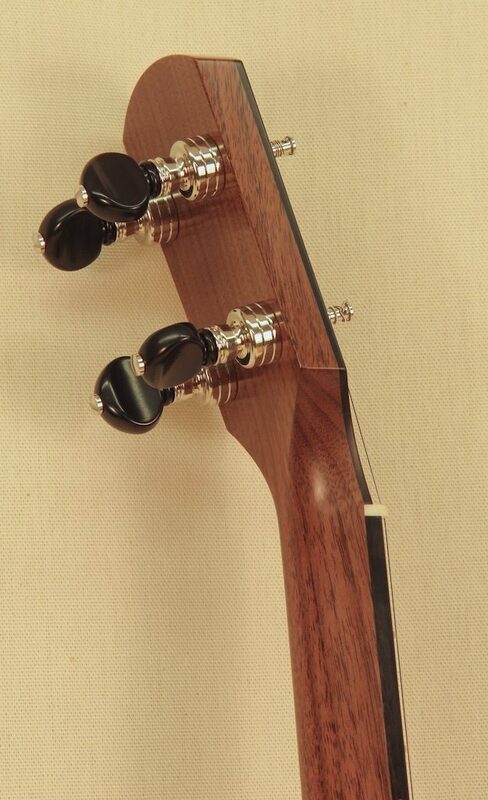 The client wanted a slothead neck with simple aesthetics setup for fingerstyle playing.